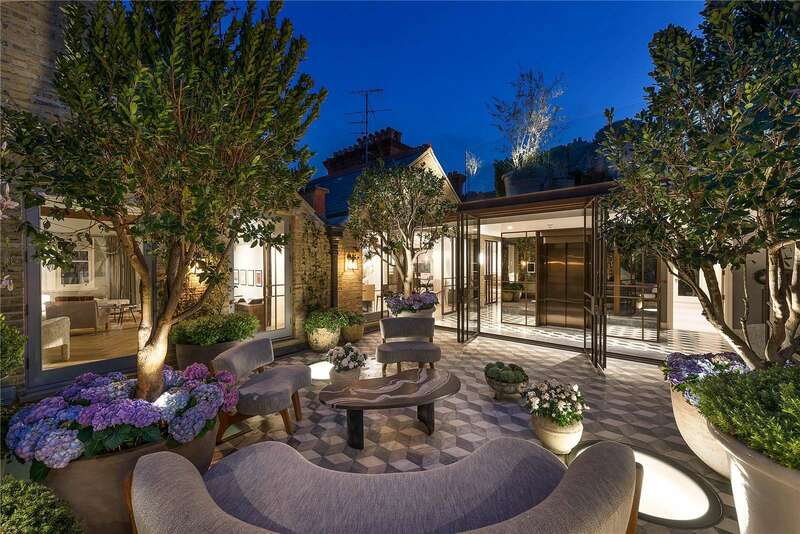 Catch up on the best houses that have come up for sale via Country Life in the last few weeks. 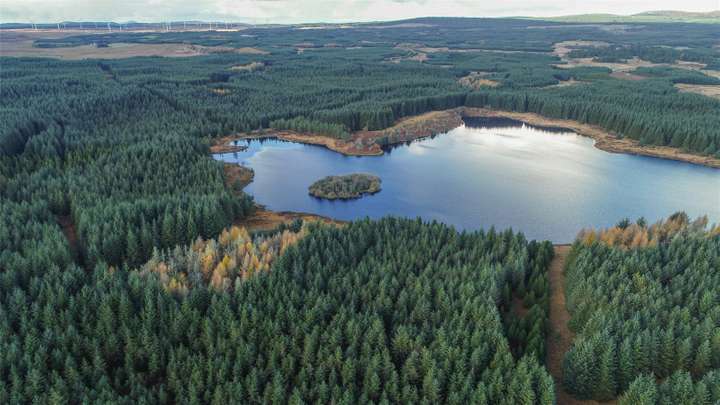 Extensive commercial forest is the key timber region of South Scotland dominated by Sitka Spruce.  Diverse age structure from 4 to 38 years old, entering production phase with significant timber income potential. 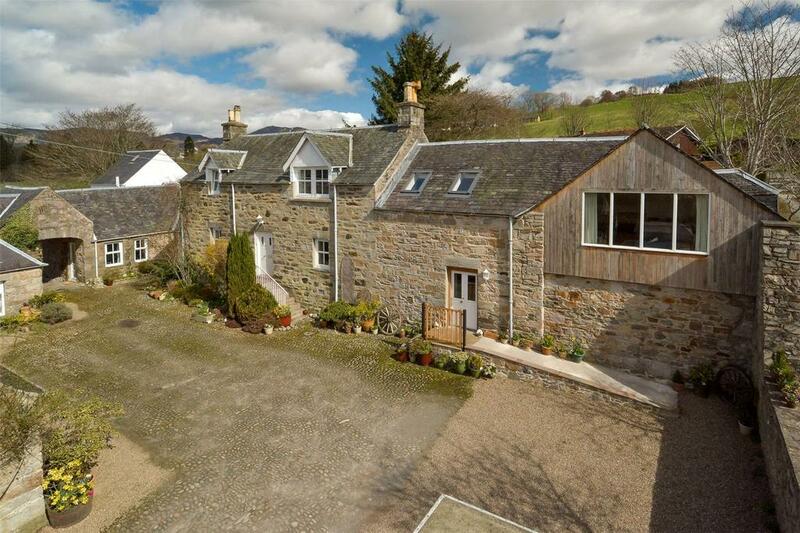 Lochs and sporting opportunities and 41 acres of grazing land. 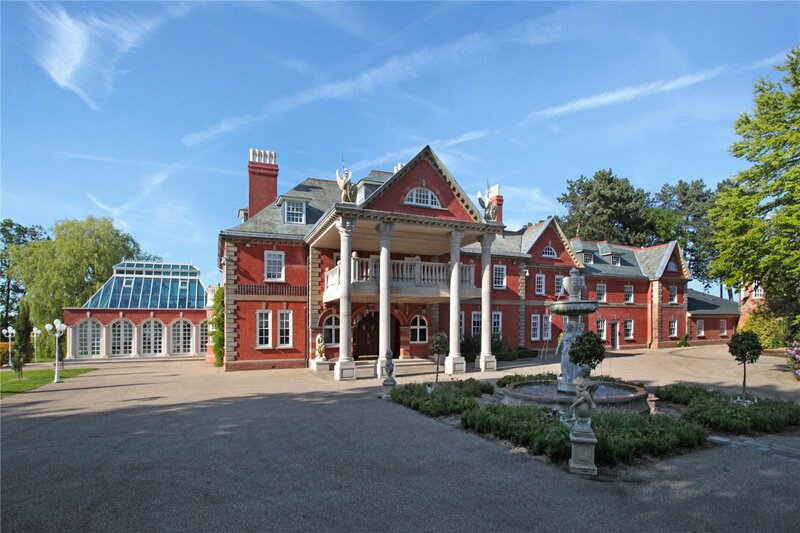 One of Cheshire’s finest country houses (approximately 20,000 sq ft), with magnificent leisure suite and 5,588 sq ft luxury garaging/hangar facility. 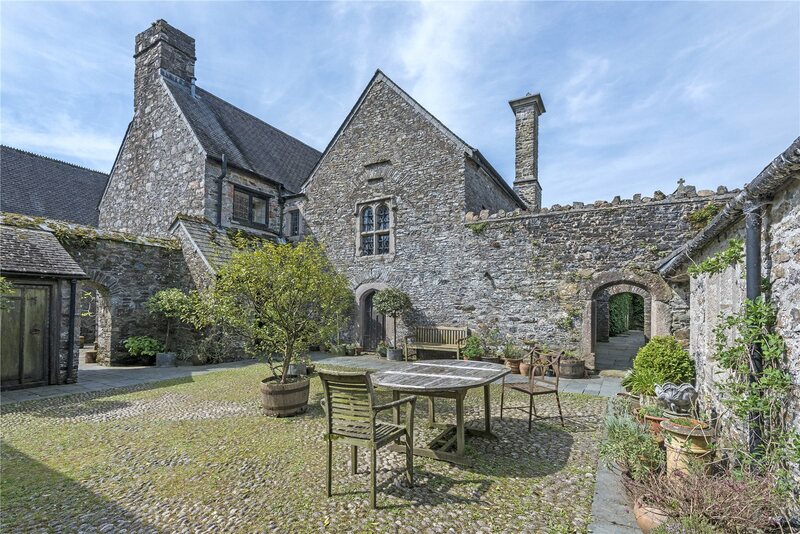 Dating from the 15th century and set in exquisite 19th century gardens. 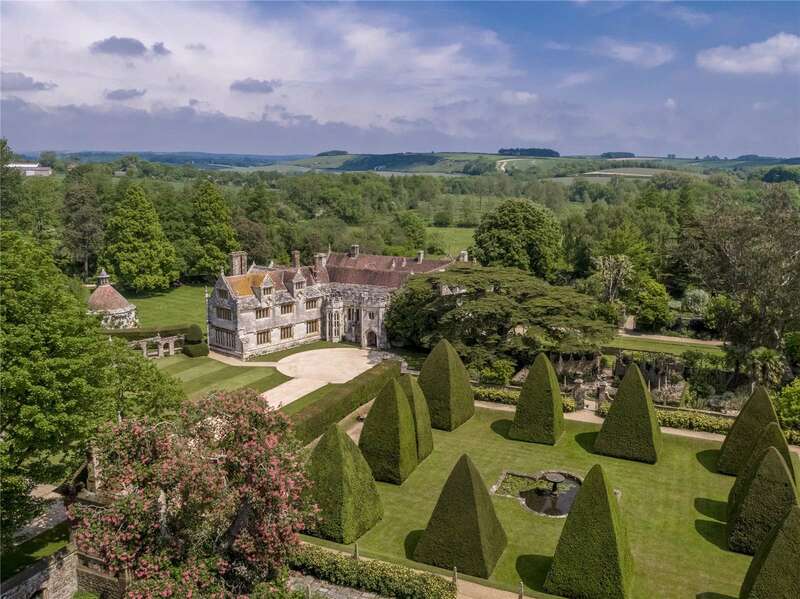 8 reception rooms, 11 bedrooms, 6 bathrooms, cinema, Coach House converted to events venue, 3 bedroom cottage, exquisite formal gardens, dovecote, outbuildings, woodland, pasture and par-3 golf course. 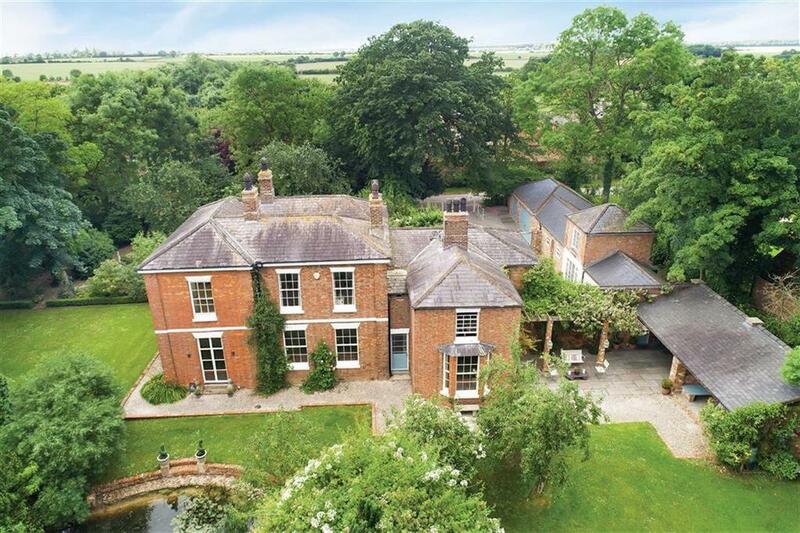 Grade II listed house set in mature gardens and grounds. 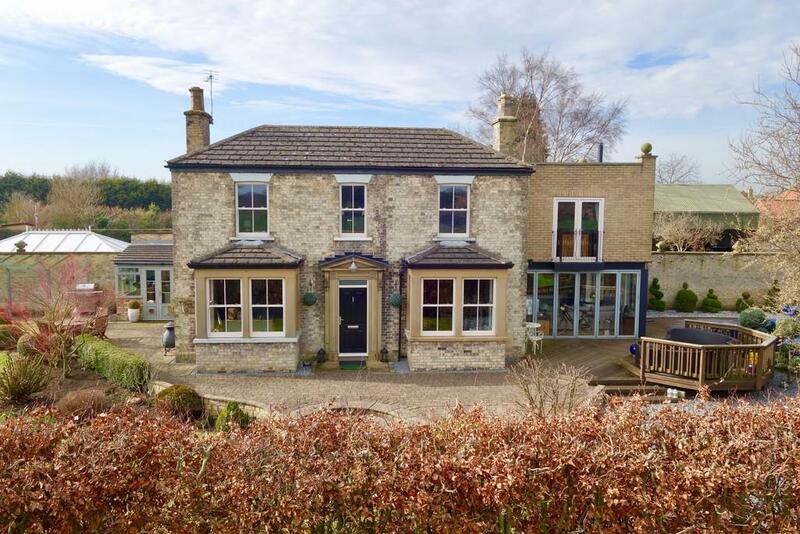 4 reception rooms, 7 bedrooms, 4 bathrooms, 2 bedroom cottage, 3 bedroom lodge house, coach house and stables, swimming pool and pool house, landscaped gardens, kitchen garden, paddocks and oak woodland. 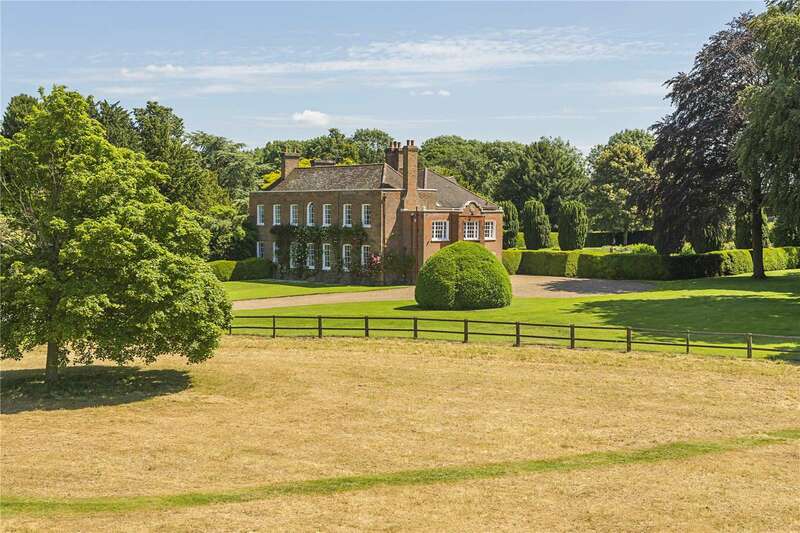 Idyllic parkland setting, 5 reception rooms, kitchen/breakfast room, 7 bedrooms, 4 bath/shower rooms, potential to create further 3 bedrooms and family bathroom, formal gardens, paddocks, tennis court, extensive outbuildings, stables and garaging. Rare opportunity to acquire this 2,638 sq ft first floor apartment. Double reception room, kitchen/breakfast room, 2 bedroom suites with dressing rooms, 2 further bedrooms (1 en suite), 2 studies, balcony, terrace, access to communal gardens, lift and 2 off-street parking spaces. 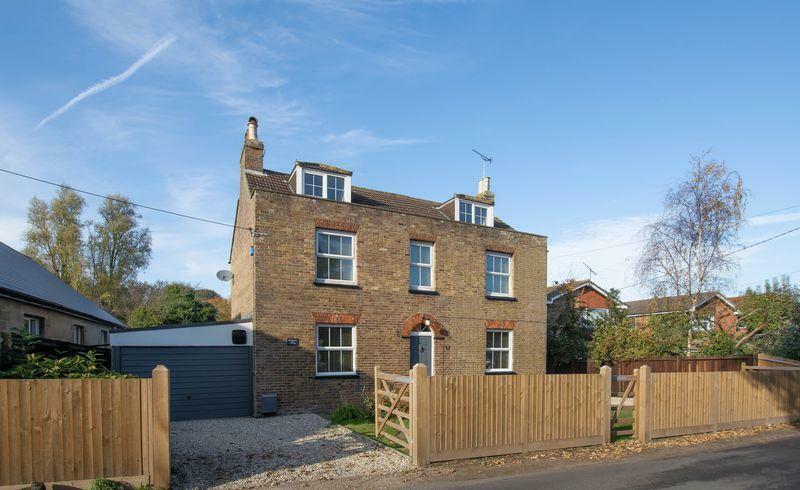 A pretty semi-detached cottage which has been sympathetically extended to provide three bedrooms and two reception rooms. For sale with Perry Bishop and Chambers via OnTheMarket.com. See more pictures and details about this property. Luxury family home and modern open-plan living, all set within a secure gated development in a sought after village in Surrey. For sale with Barton Wyatt via OnTheMarket.com. See more pictures and details about this property. 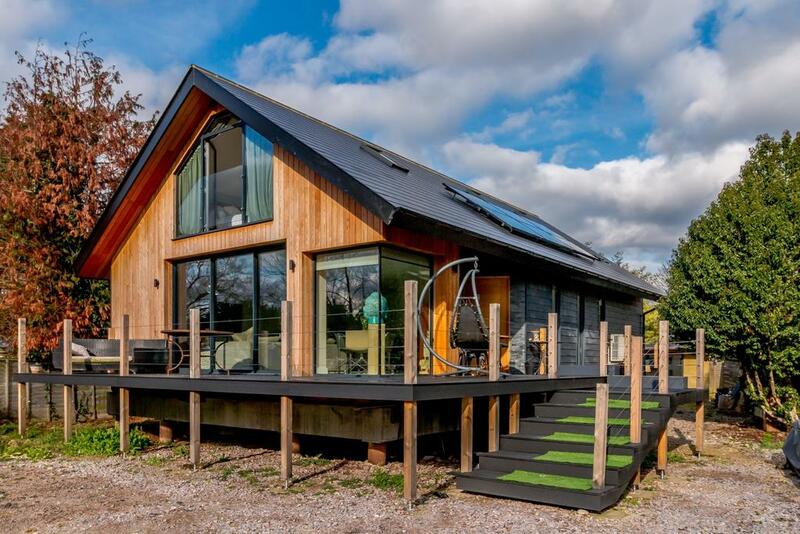 A contemporary new home with a detached studio situated in a commanding position with southerly views of the River Thames. For sale with Curchods via OnTheMarket.com. See more pictures and details about this property. 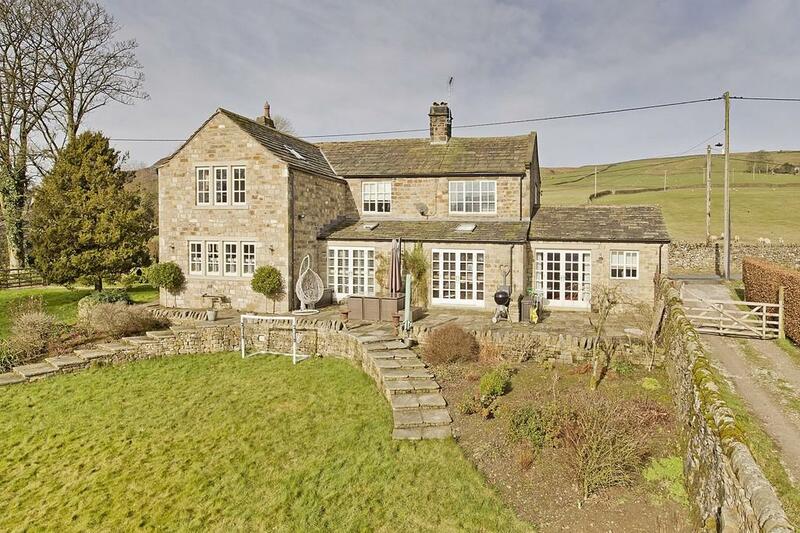 Beautifully extended four/five bed village home only 3 miles from Skipton, 1 acre of south-facing gardens, splendid long-range views. For sale with Dale Eddison via OnTheMarket.com. See more pictures and details about this property. 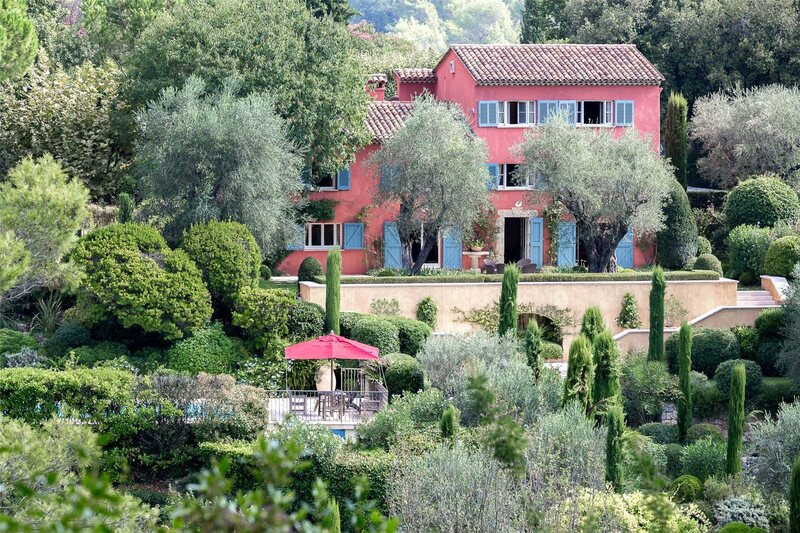 Outstanding country house of 4500 sq. ft. and lodge house with separate access, in a National Park village north of York. For sale with Blenkin & Co via OnTheMarket.com. See more pictures and details about this property. 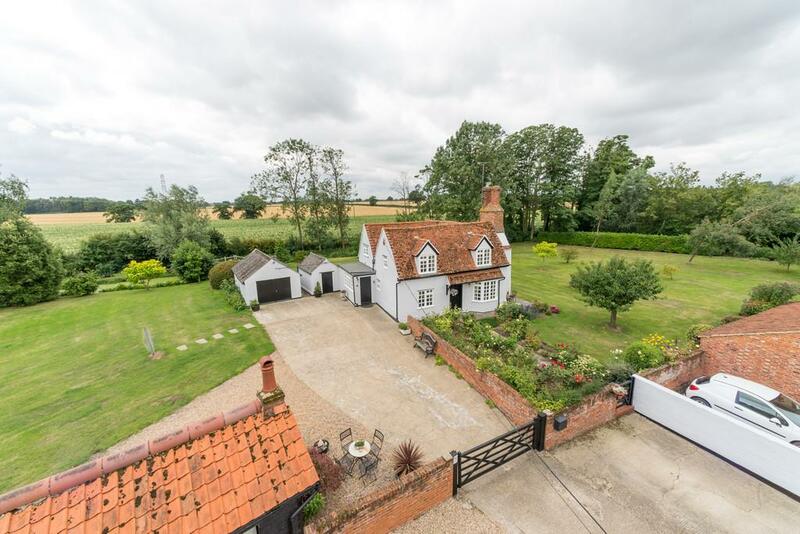 A handsome detached period farmhouse in a village location, with outbuildings and grounds of approximately a third of an acre. 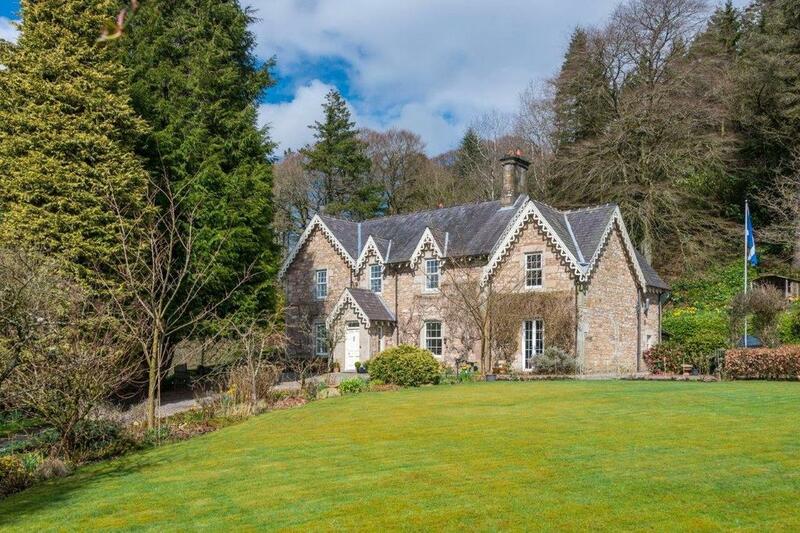 For sale with Colebrook Sturrock via OnTheMarket.com. See more pictures and details about this property. An imposing five bedroom sympathetically renovated detached property dating back to the 1860’s with a very generous rear garden. 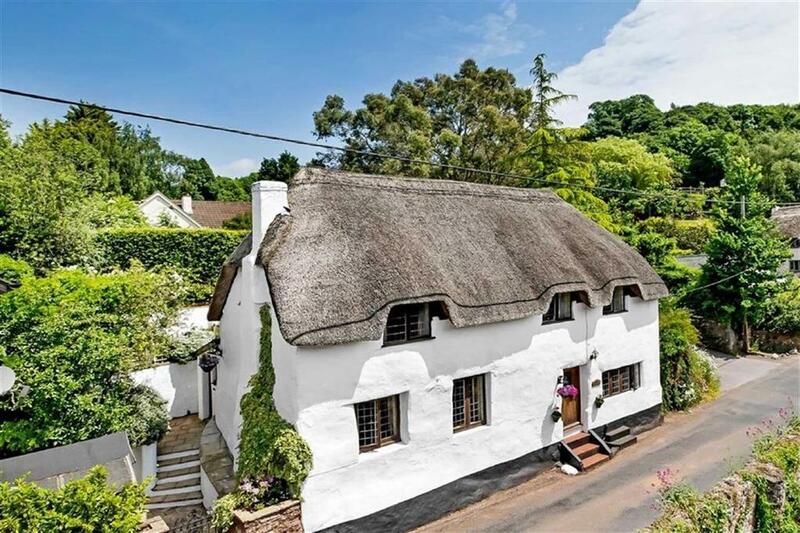 Grade II-listed thatched cottage in Bickleigh, completely renovated throughout to a high standard. For sale with Lawson Property. See more pictures and details about this property. 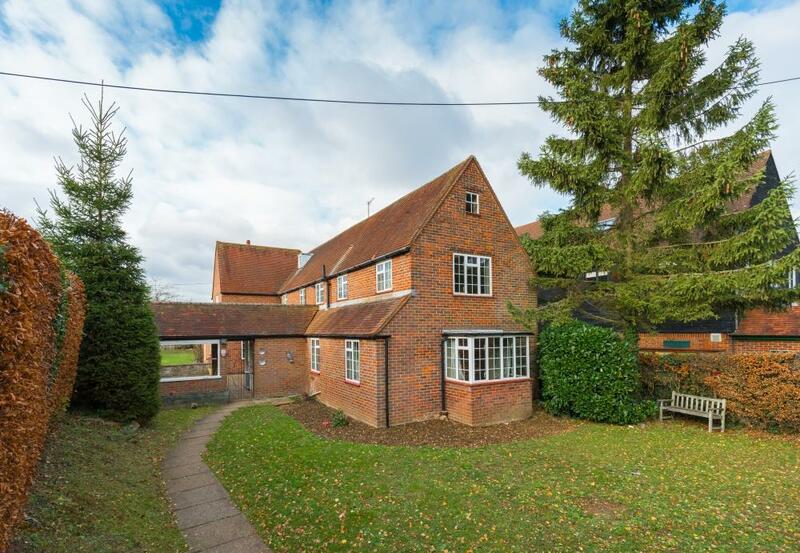 Unique development opportunity in a pretty village near Beaconsfield. Detached, circa 3000 sq. ft., 0.28 acre plot on the green. For sale with LREA via OnTheMarket.com. See more pictures and details about this property. 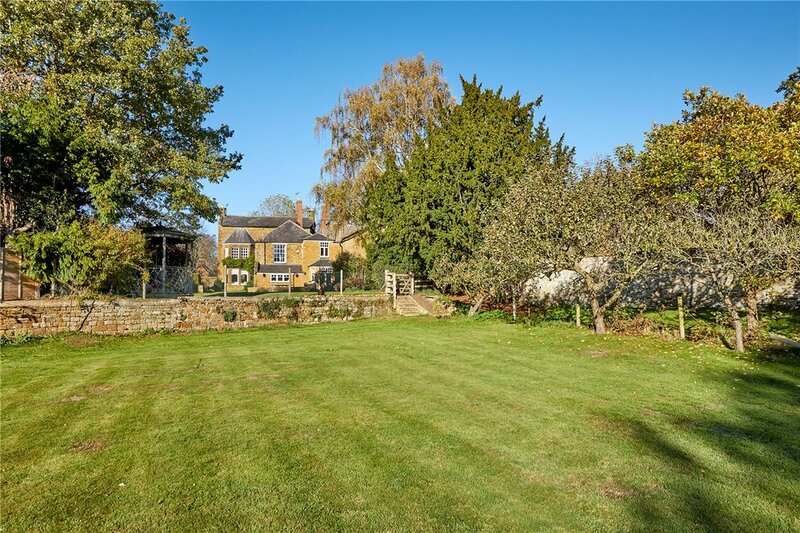 A Grade II listed four double bedroom detached former farmhouse, in formal gardens of approx. 1.3 acres and includes an orchard. For sale with Michael Graham via OnTheMarket.com. See more pictures and details about this property. 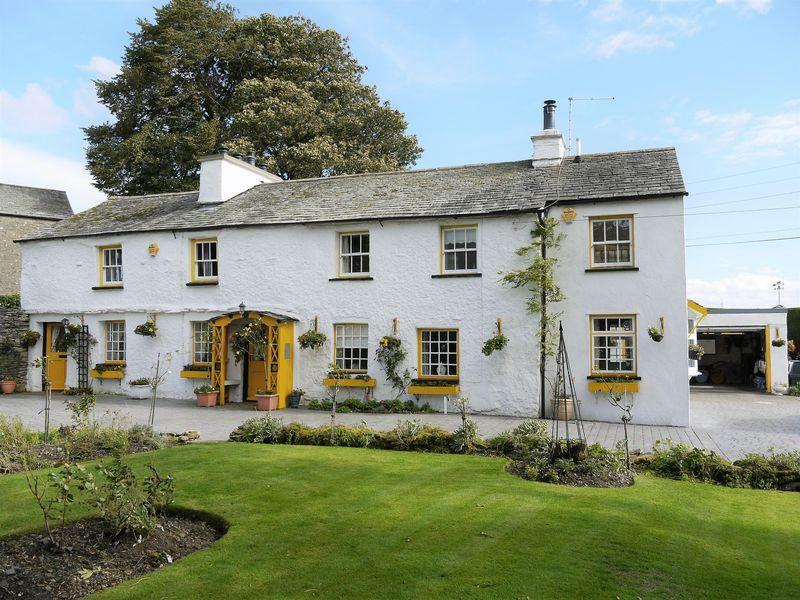 A Grade II listed period five bedroom country house with a self-contained two bedroom apartment, full of character and enjoying wonderful views of the fells. 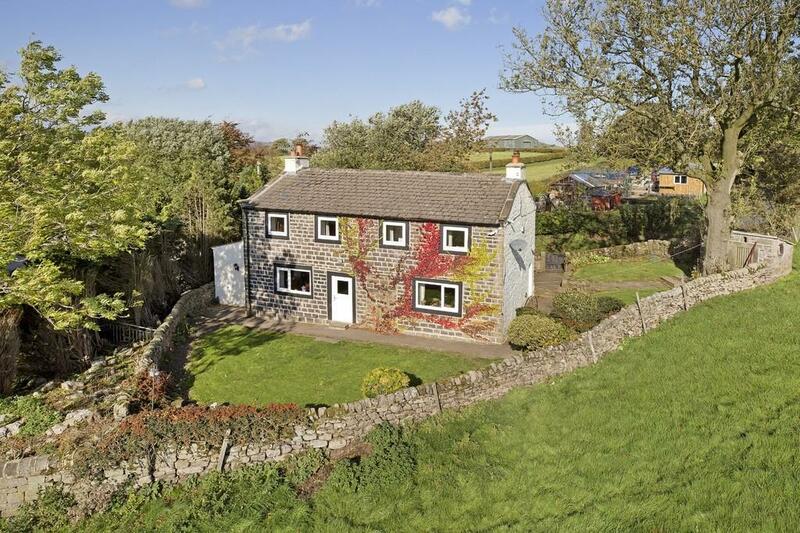 The house is in an idyllic village location in Dufton, within the North Pennines AONB. For sale with Fine & Country via OnTheMarket.com. See more pictures and details about this property. 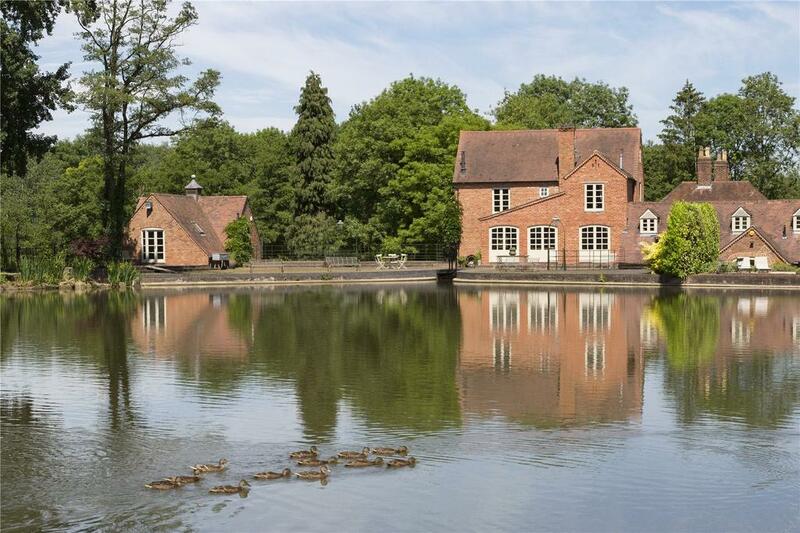 A fascinating and stylish listed 17th century watermill in an idyllic waterfront setting near Knowle. 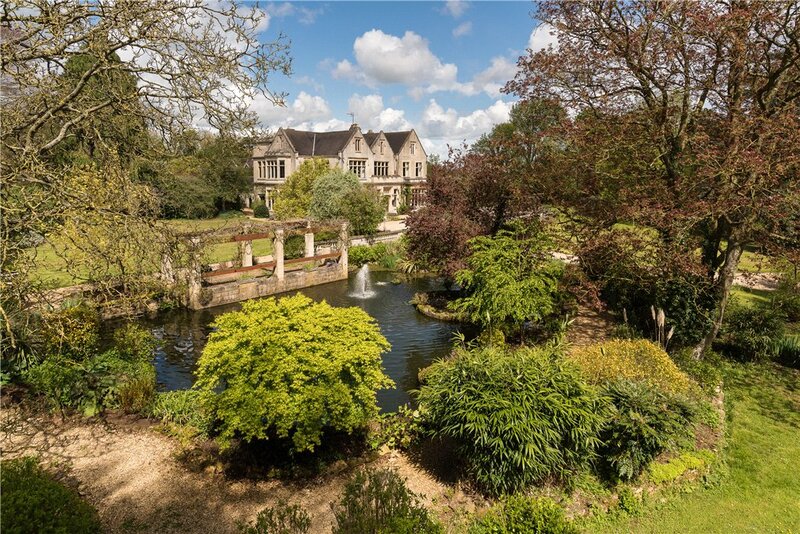 Original elements from the mill have been used in the interior design while the grounds, which extend to approximately seven acres, include three ponds and a large area of mature woodland. For sale with Savills via OnTheMarket.com. See more pictures and details about this property. 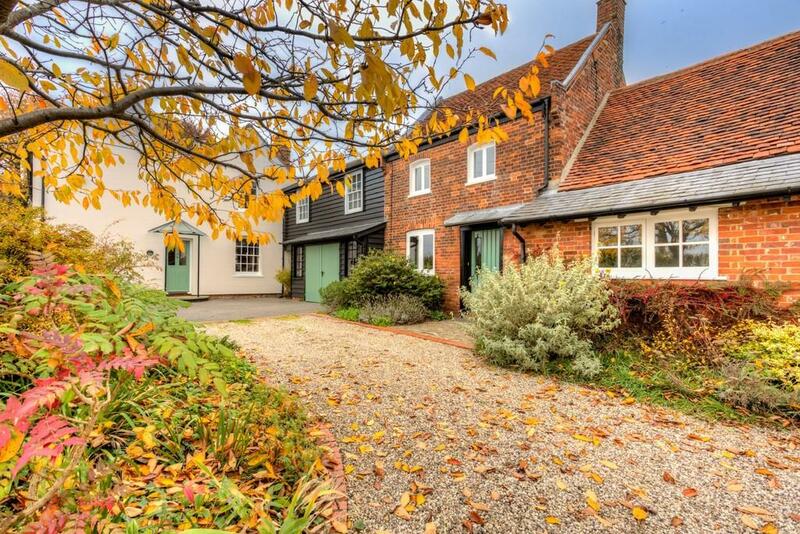 A stunning 17th Century Grade II listed four bed cottage in Great Sampford, Saffron Walden. There are four reception rooms, a large garden and an absolute wealth of character. 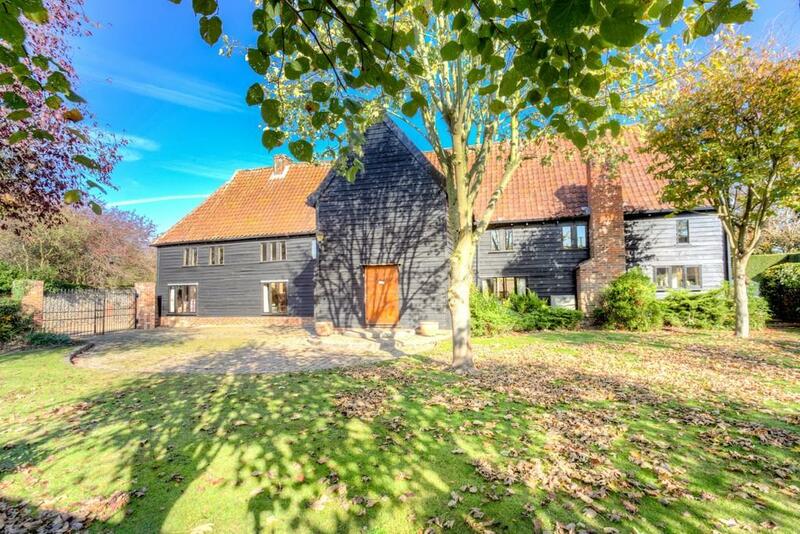 A Grade II listed six/seven bedroom detached former farmhouse in approx. 3.1 acres of gardens, for sale with no upper chain. 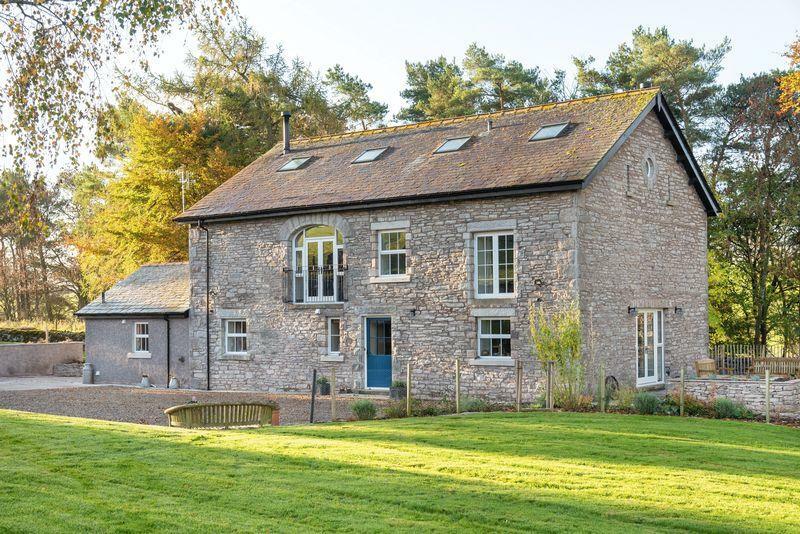 An impressive recently completed barn conversion set over three floors, with wonderful living spaces and a superb outlook. An atmospheric village house with a range of flexible accommodation, delightful garden and a detached two bed cottage. For sale with Jackson-Stops via OnTheMarket.com. See more pictures and details about this property. 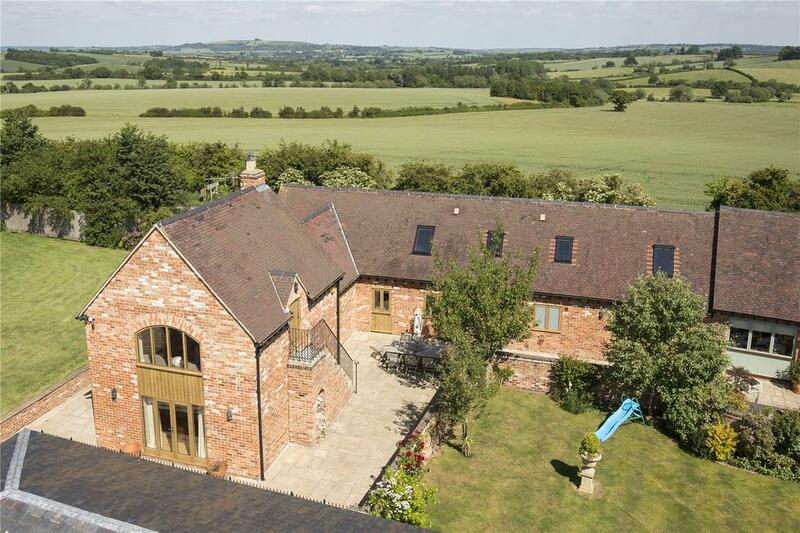 A contemporary and recently refurbished barn conversion with exceptional equestrian facilities and outstanding views. 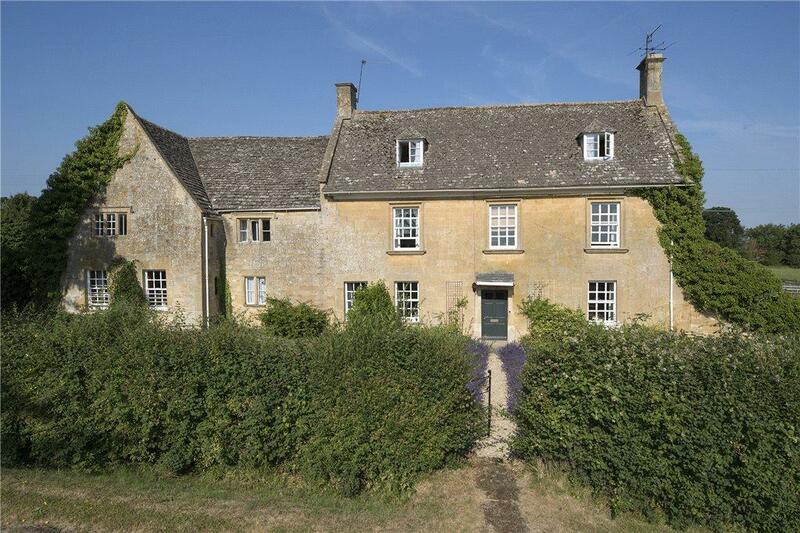 A Grade II listed Cotswold stone farmhouse with over 4400 sq. ft. of accommodation and outbuildings/grounds of 14.75 acres. For sale with Hayman Joyce via OnTheMarket.com. See more pictures and details about this property. 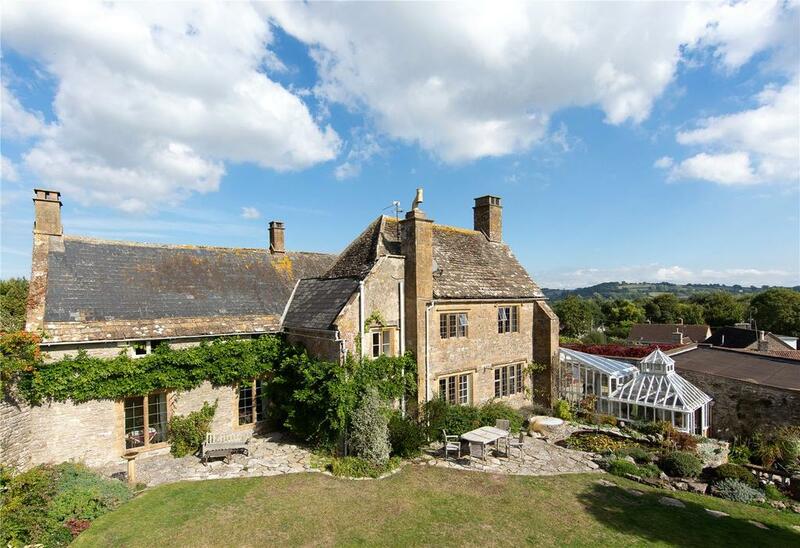 An exquisitely restored country house (also pictured top) with annexe and mature gardens. 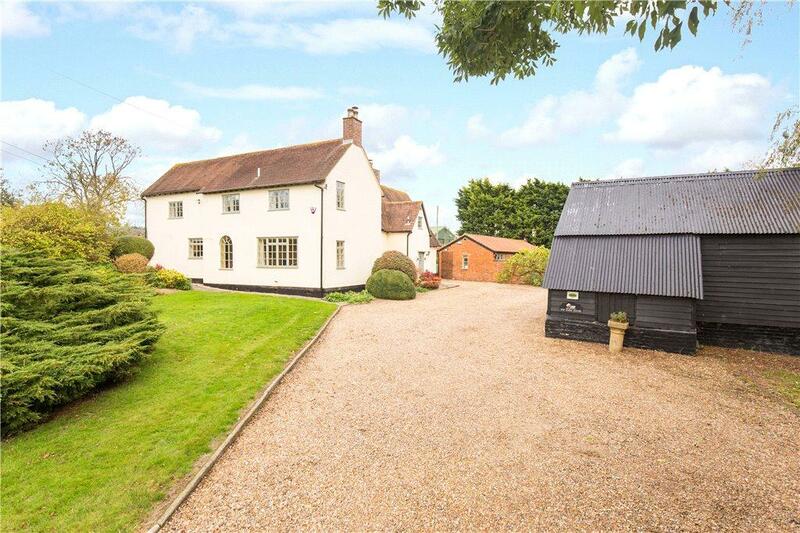 Set in a rural location on the edge of a picturesque village. For sale with JH Walter via OnTheMarket.com. See more pictures and details about this property. 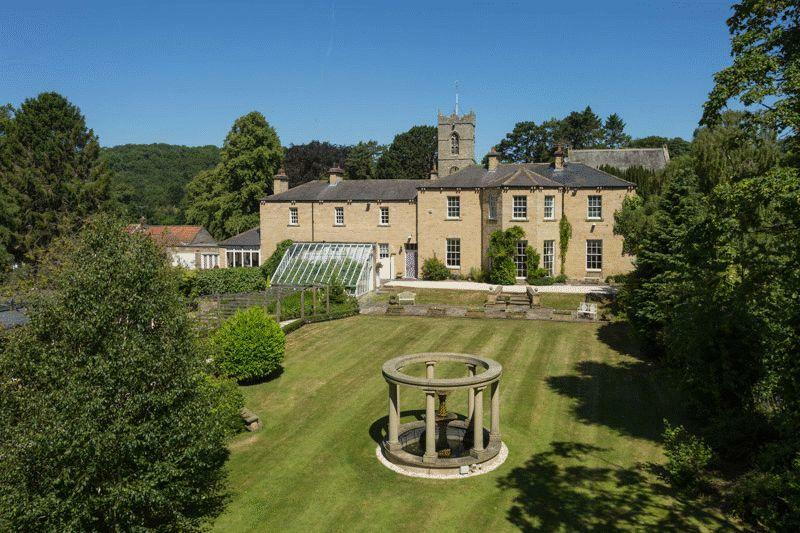 Grade I listed splendour with 110ft long garden. 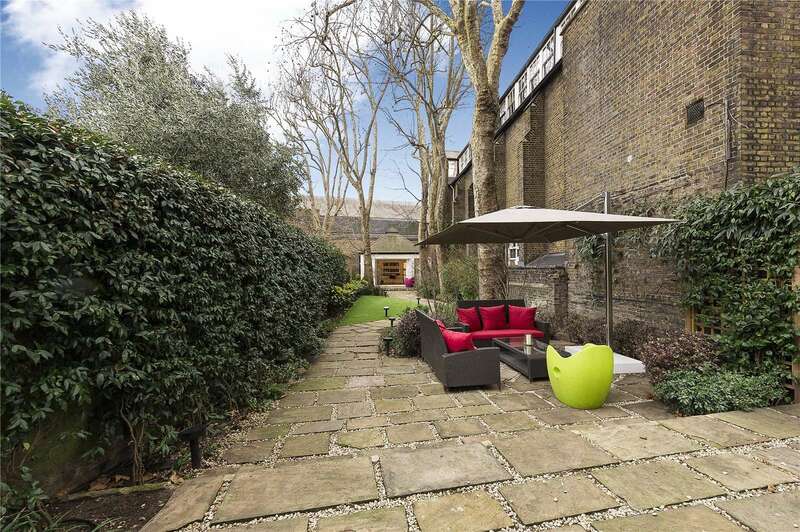 180 Mozart Terrace is a wonderful house in the heart of Belgravia. 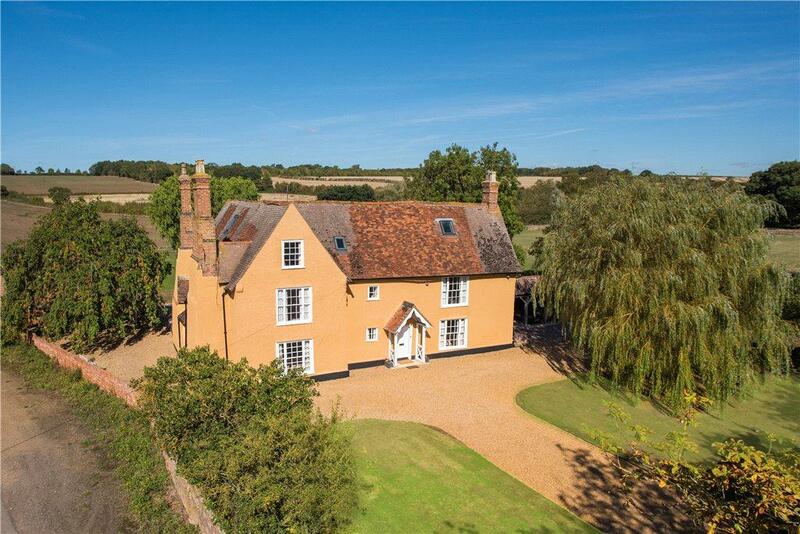 This Grade I Listed house was built in c.1730. 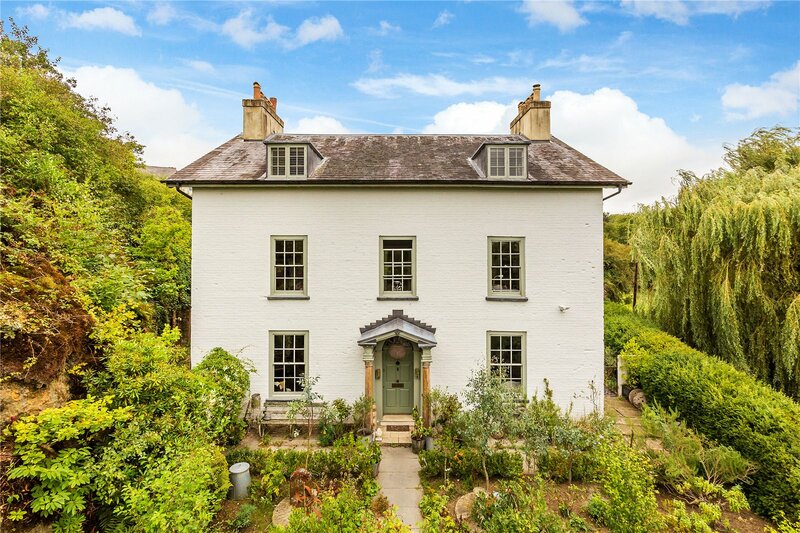 Set back from the road by a paved garden at the front, it is a wide, south facing period house benefitting from many original features and unusual proportions. 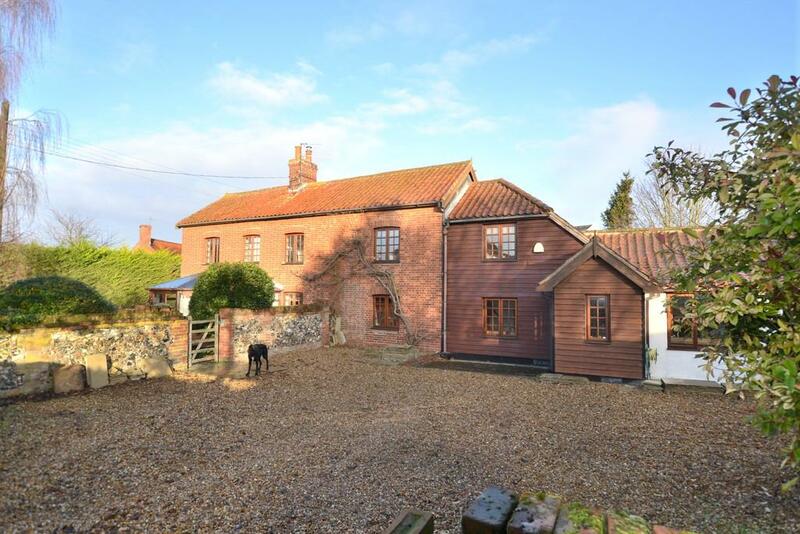 A five bedroom farmhouse with extensive barns and garages, set in 128 acres of grazing in beautiful Norfolk countryside. For sale with Barry L Hawkins via OnTheMarket.com. See more pictures and details about this property. 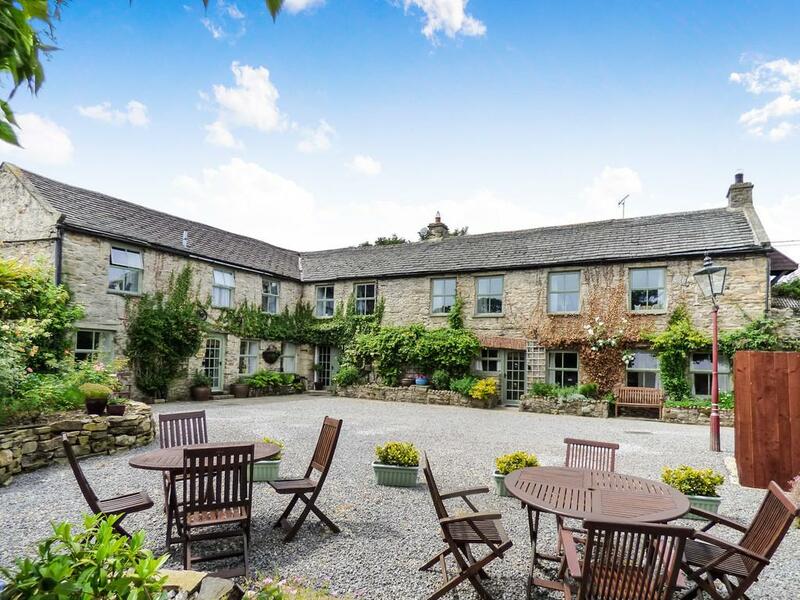 Holiday complex of four cottages in popular Dales village. 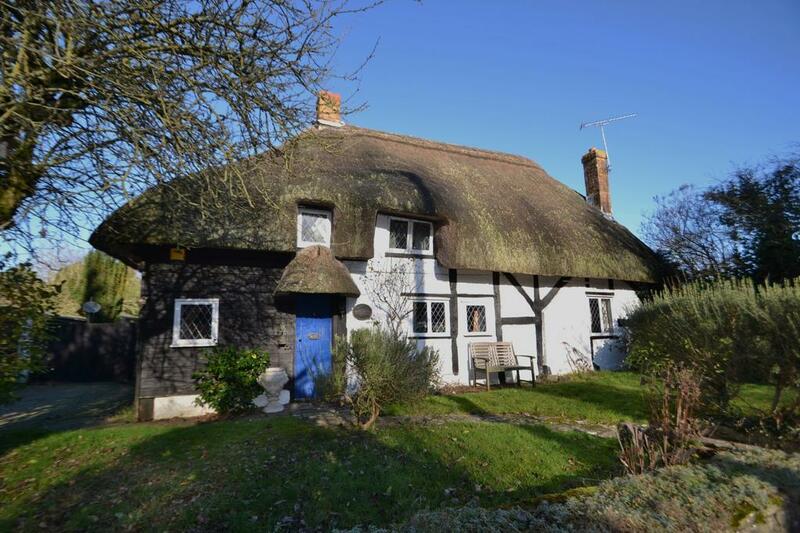 Detached fifth cottage in need of renovation with courtyard/parking. For sale with JR Hopper via OnTheMarket.com. See more pictures and details about this property. 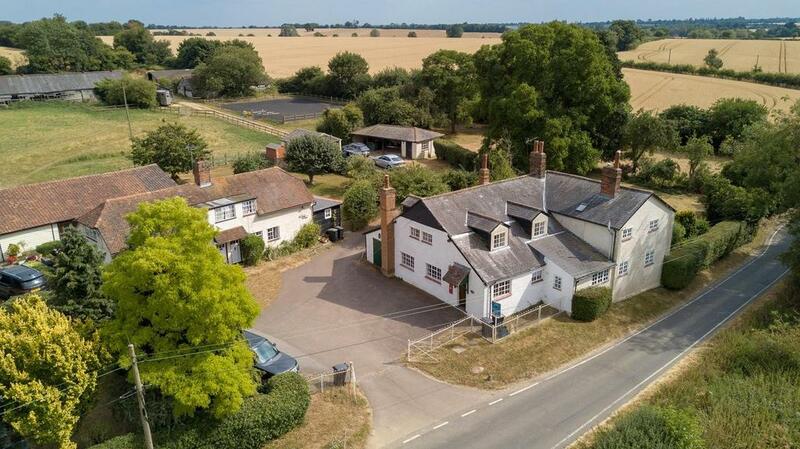 A delightful country house with a wealth of flexible auxiliary accommodation, including a two bedroom cottage and converted barn. A unique Grade II listed penthouse apartment laterally converted across three buildings with an abundance of outside space. 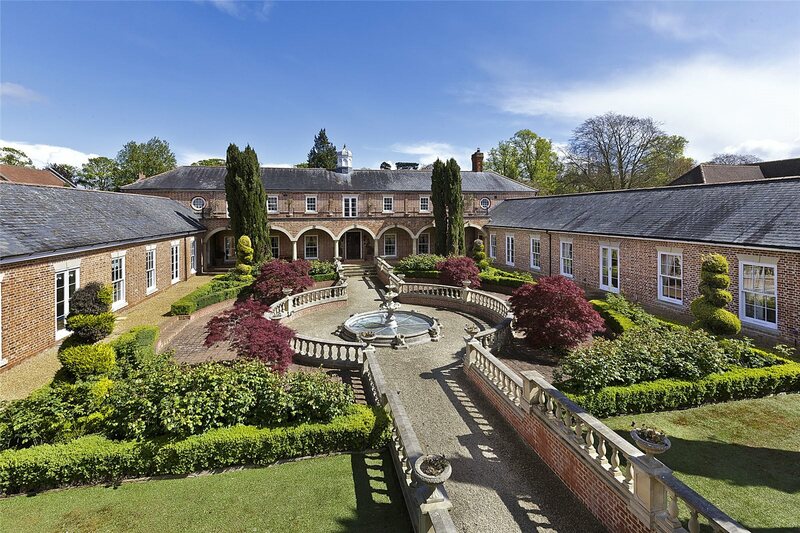 A highly unique and captivating property in Newmarket offering 11,840 sq ft of extensive and flexible accommodation, set in an enviable private town location, with an impressive central Mediterranean-style landscaped garden. 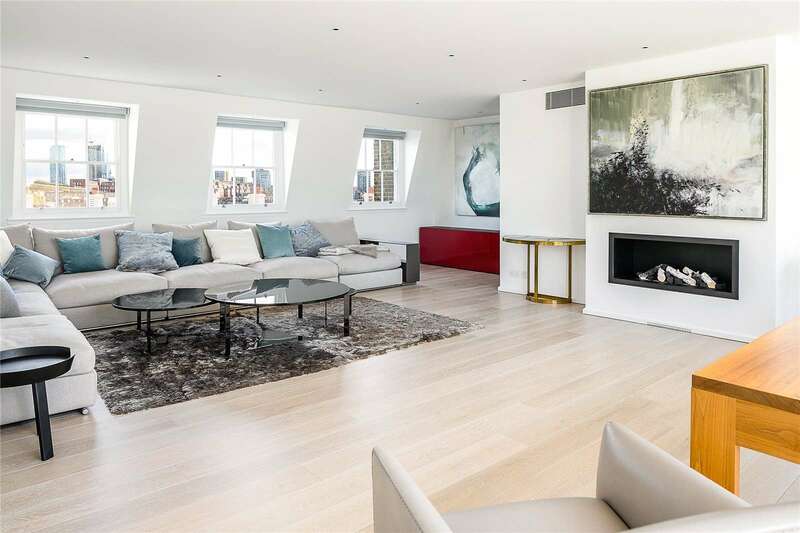 Beautifully decorated five-bedroom penthouse apartment situated within an elegant and key period building on Warwick Square. 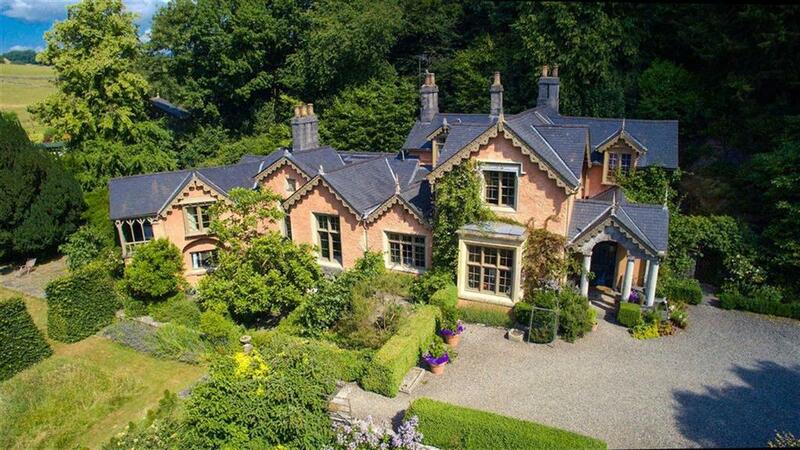 A Victorian residence offering impressive and elegant five bed accommodation, at the end of a long private drive. EPC E.
Whitemoor Estate is an excellent residential sporting estate in a very accessible location perfect for any country sport enthusiast. The setting of the Estate is simply spectacular with a unique Boathouse providing the principal house on the bank of a 40 acre reservoir. 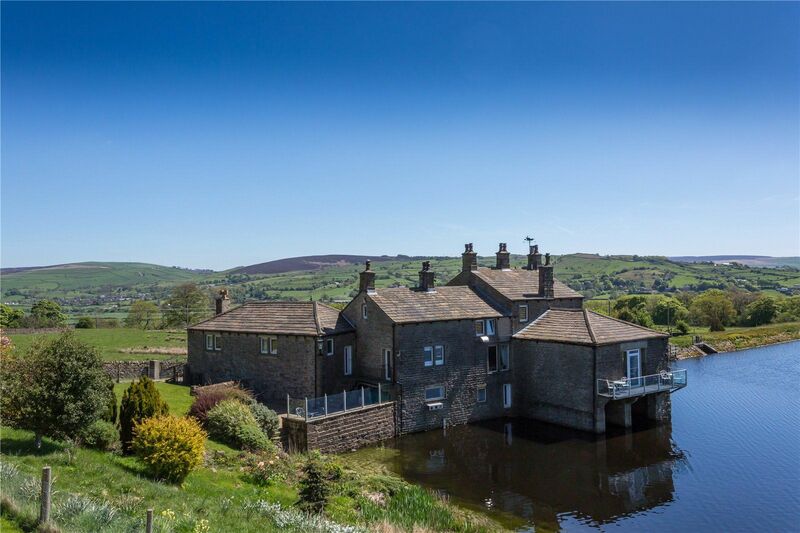 The wider estate comprises of two additional residential properties, traditional farm buildings with development potential, farmland, moorland, sporting and fishing interests. A quintessential Grade II listed Georgian village house of elegant proportions and high ceilings overlooking the village green in Adderbury. 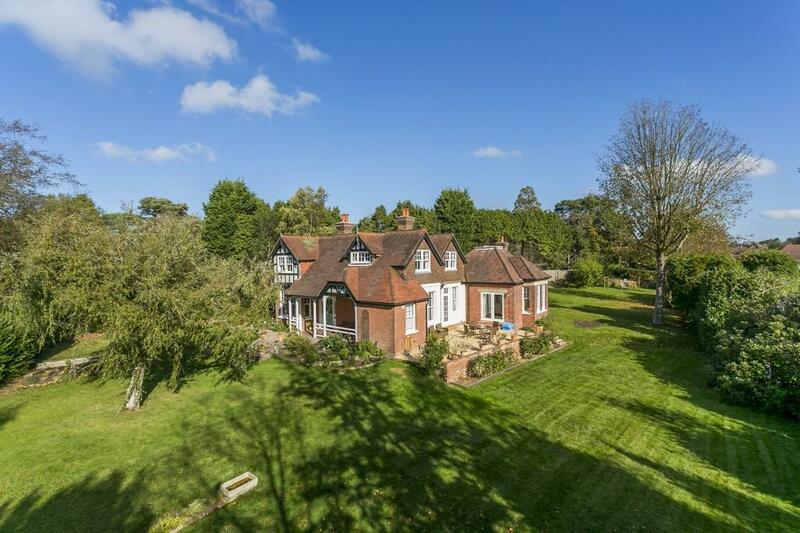 Kingsmoor sits in three and a half acres of delightful gardens and grounds on Titlarks Hill Road, one of the most sought-after locations in Sunningdale. The property is Edwardian, dating back to the early 1900s, and has many fine period features including wooden floors, ornate cornicing, stone fire surrounds, large sash windows and French doors. 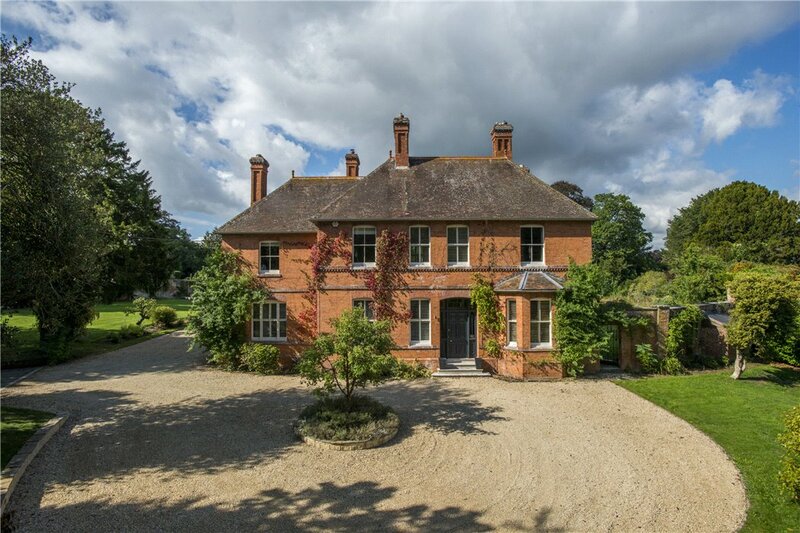 Historic Listed Grade II period residence set in 5.2 acres, situated in an Area of Outstanding Natural Beauty near Dorking. The principle reception rooms are beautifully proportioned, while the staircase is a charming feature and is entirely original. 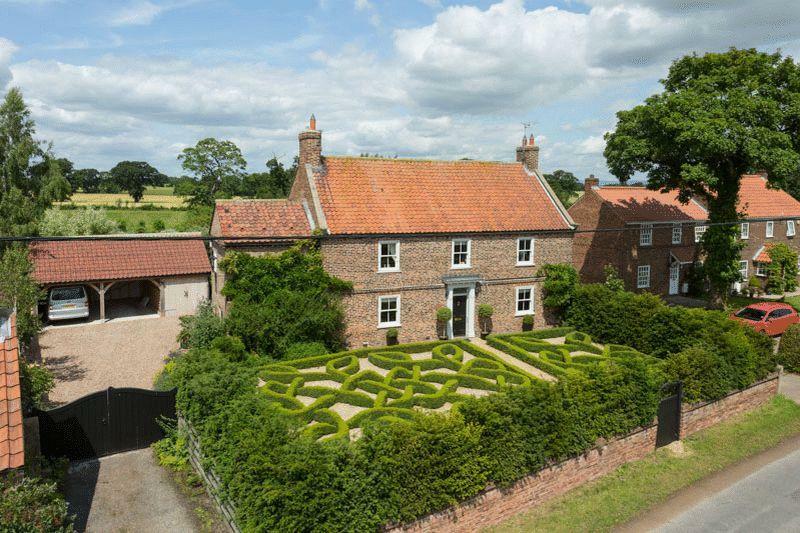 Grade I-listed Stibbington Hall is set in 19 acres on the banks of the Nene. 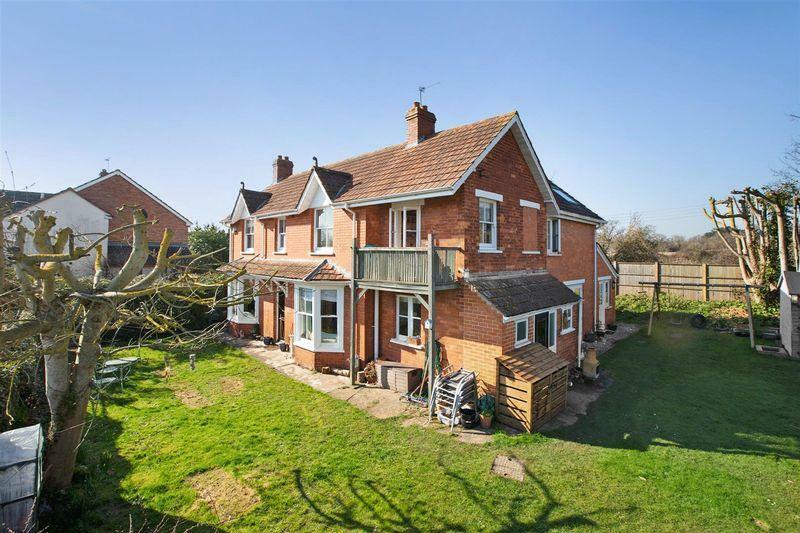 A four bed country home with a detached annexe, double garage and outbuildings on a plot of approx. 1.3 acres, with no upper chain. 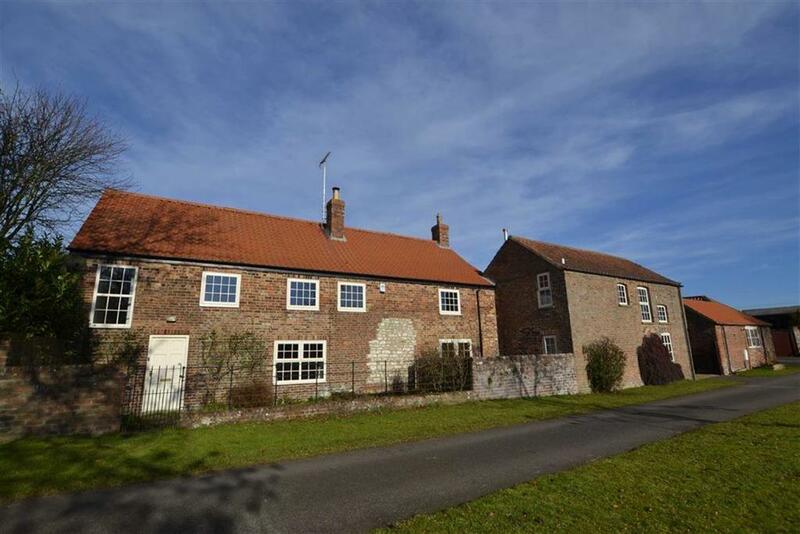 Well-presented four bed (two en-suite) Grade II listed former Granary with a delightful garden, outbuildings, courtyard and parking. 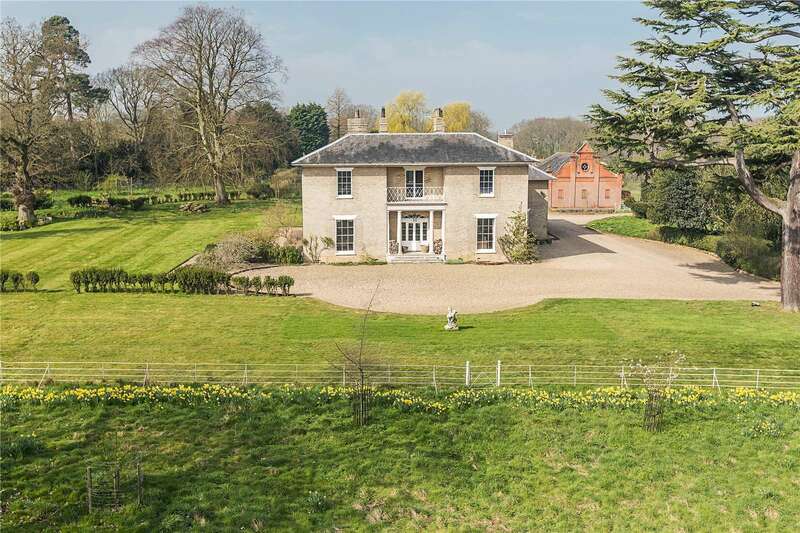 Grade II listed former country house. 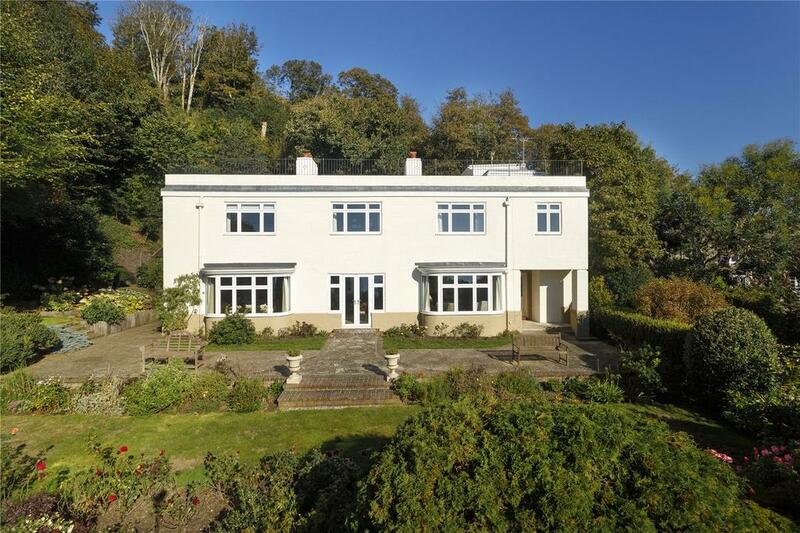 Reception room, four bedrooms, three bathrooms, garage, communal garden and far-reaching views. Substantial five bedroom Edwardian property in secluded position, only a short stroll from town. Wonderfully presented throughout. For sale with Wood & Pilcher via OnTheMarket.com. See more pictures and details about this property. 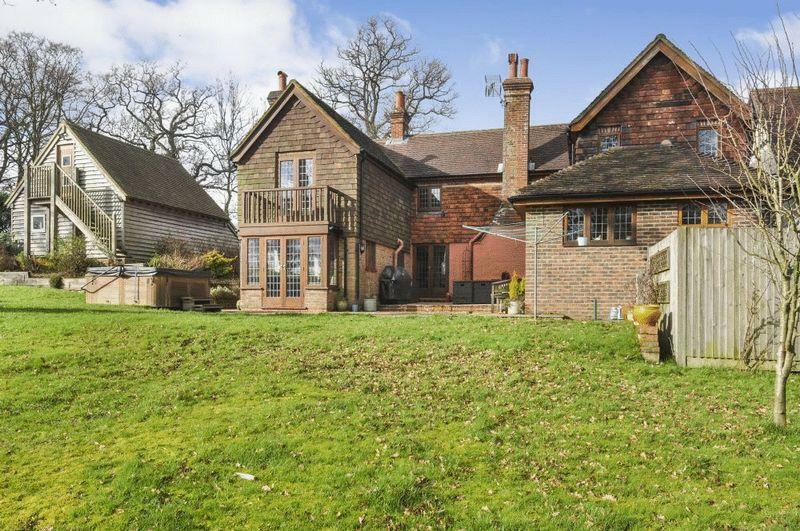 Stunning three bed listed property with part moated grounds, an amazing barn and outbuildings set on 3.8 acres including paddock. 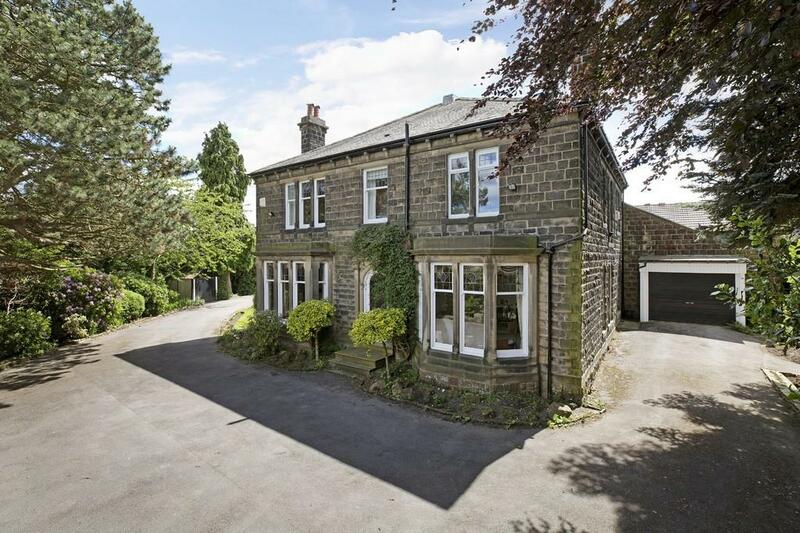 Stunning Grade ll listed, four bed period home with plot of approx. 1.6 acres. 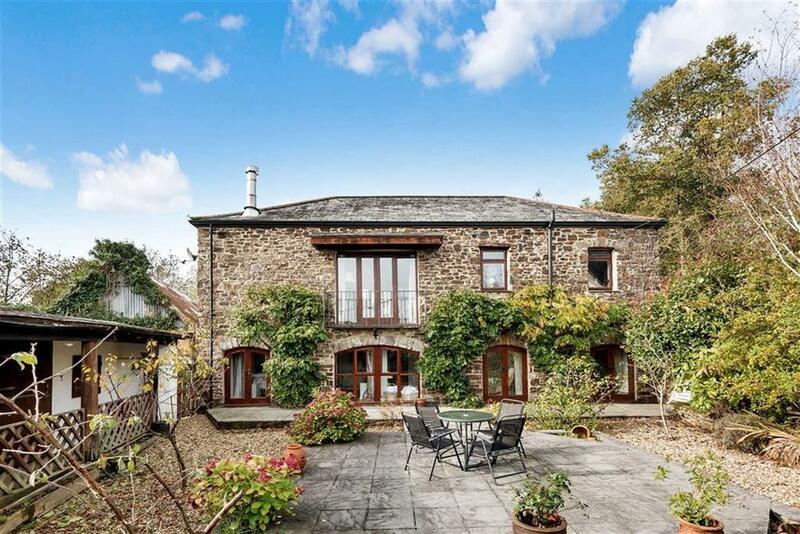 Situated in a sought-after village with enviable views. For sale with Fenn Wright via OnTheMarket.com. See more pictures and details about this property. 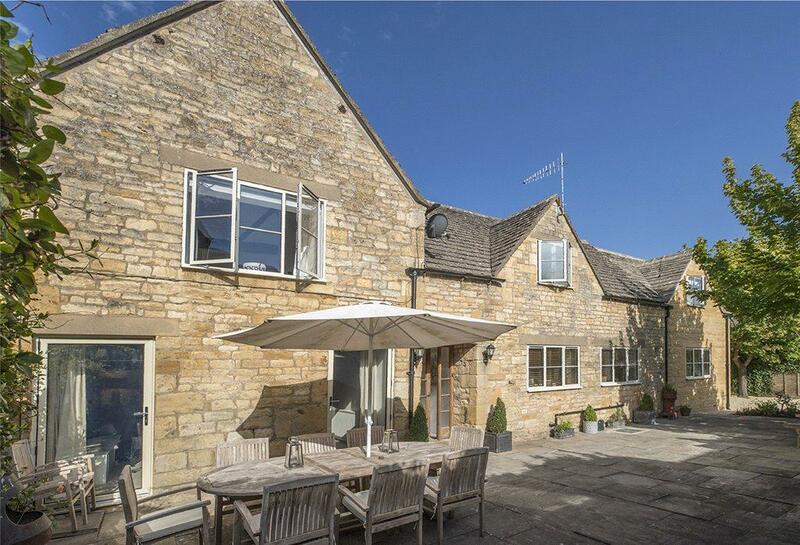 A very stylish and contemporary Cotswold stone home located within the heart of Chipping Campden offering over 2,000 sq. ft. of living space. A fine and spacious seaside home (3913 sq. ft.) with Art Deco influences and outstanding sea views. For sale with Strutt & Parker via OnTheMarket.com. See more pictures and details about this property. Fantastically modernised three bed detached house with garage, parking and stunning views across the valley, with additional garden. A beautiful and breathtaking chapel conversion, expertly and cleverly extended with quality materials. For sale with Winkworth via OnTheMarket.com. See more pictures and details about this property. 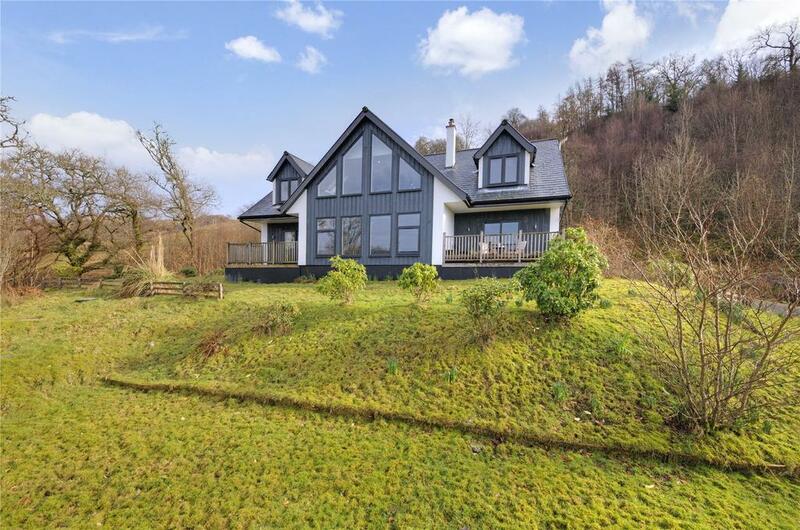 An impressive modern house with spacious, bright and very well appointed accommodation in a picturesque and peaceful location. 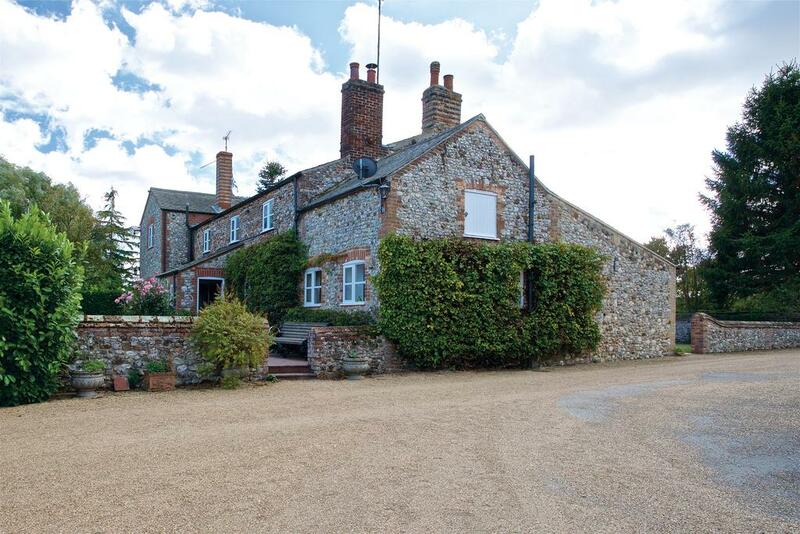 A Grade II listed six bed country house, full of character located in rural West Norfolk, set in 1.7 acres of gardens with pool. 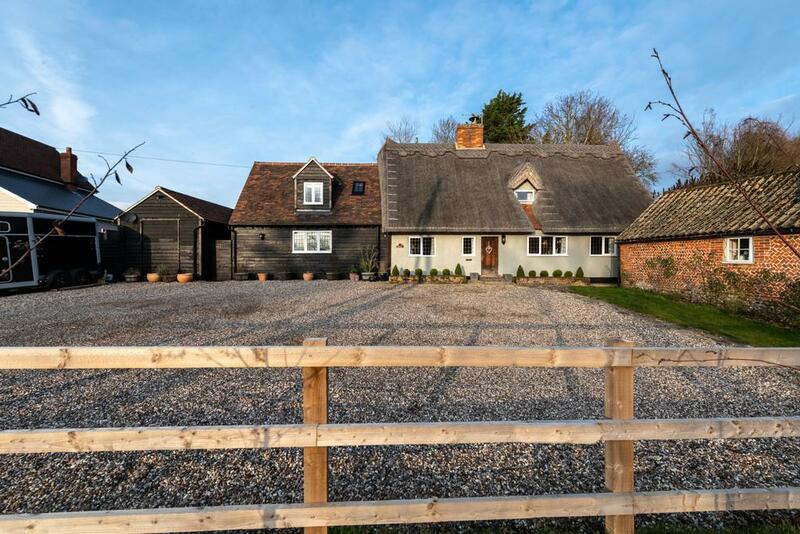 Beautifully refurbished four bed cottage. First class fixtures & fittings. Stunning views over Coverdale. For sale with Robin Jessop via OnTheMarket.com. See more pictures and details about this property. 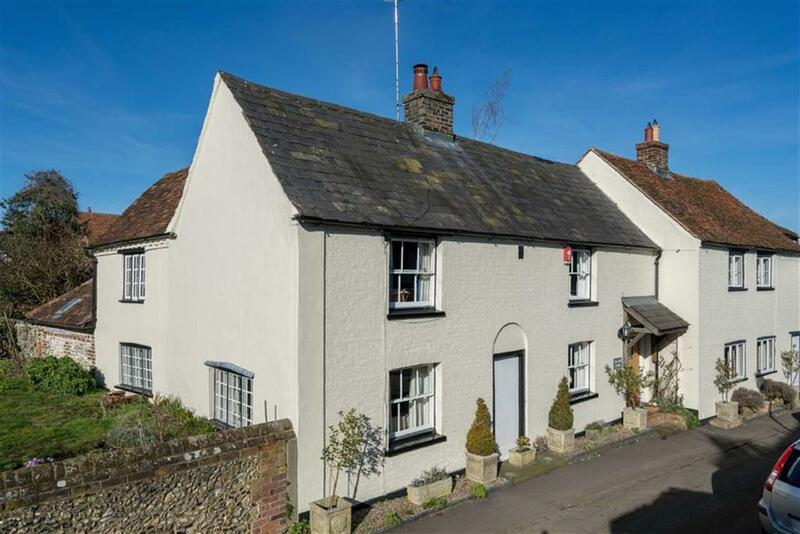 A lovely four bedroom cottage full of charm and character with a wealth of exposed brickwork and original timberwork. For sale with Patrick Gardner via OnTheMarket.com. See more pictures and details about this property. 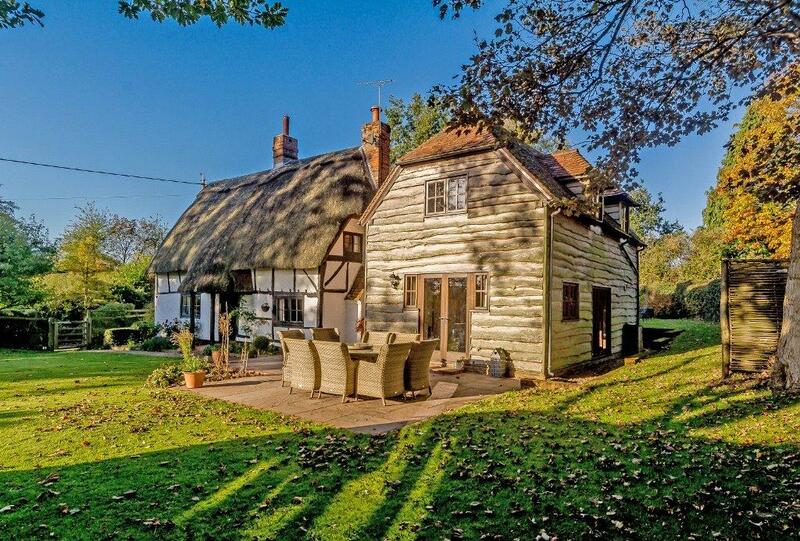 This 16th Century timber framed cottage has been extended to create a stylish, spacious and practical family home with a pool house. For sale with Knight Frank via OnTheMarket.com. See more pictures and details about this property. In between Sunningdale and Ascot lies the beautifully-named Fireball Hill, the location of this newly-built 6/7 bedroom home called Lancaster House, combining architectural integrity, design excellence and optimum proportion and scale. Lancaster House is for sale via Knight Frank at £6,950,000 – see more pictures and details. A wonderful substantial GI Listed 5 bed Georgian Town House, recently refurbished, carefully retaining numerous period features and character. Peaceful desirable location. Walled garden. For sale with Pritchards. See more pictures and details about this property. A rare opportunity to purchase a magnificent 6 bed, 5 reception room, GI listed town house. Some updating required. Studio(s), extensive vaults. Walled garden & roof terrace. 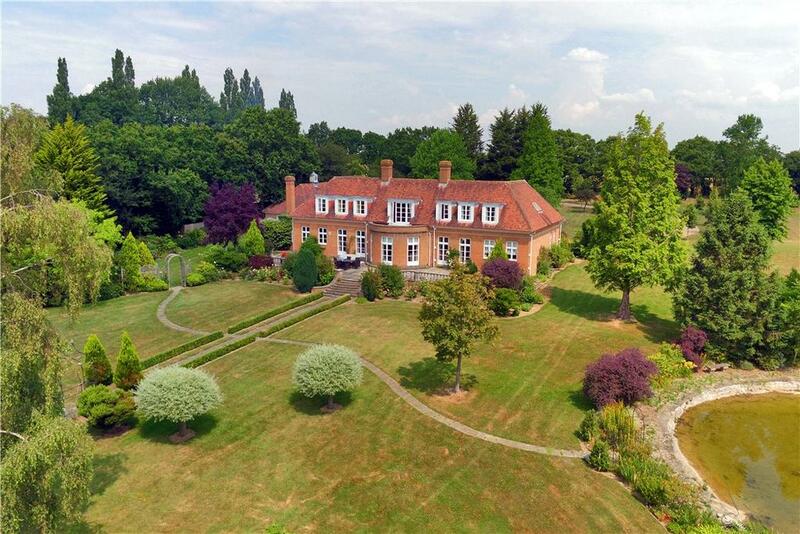 A stunning Georgian village five bed house set in beautiful grounds of approx. 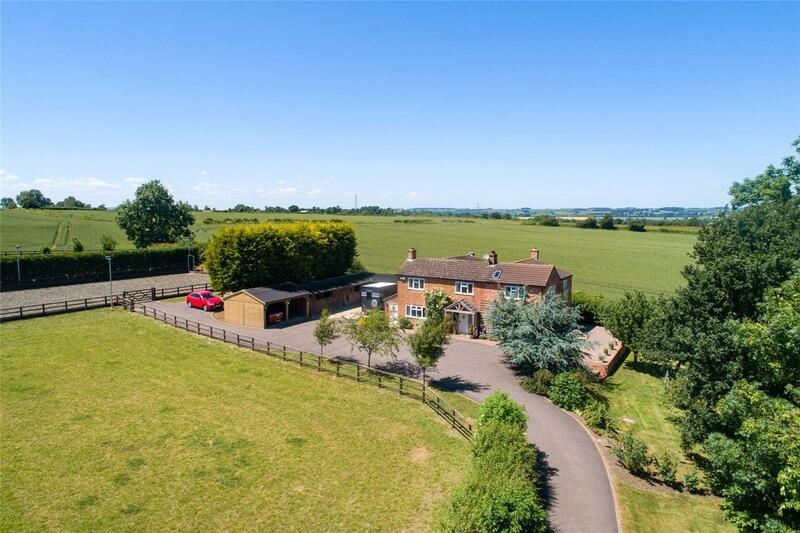 3.7 acres close to Hungerford. 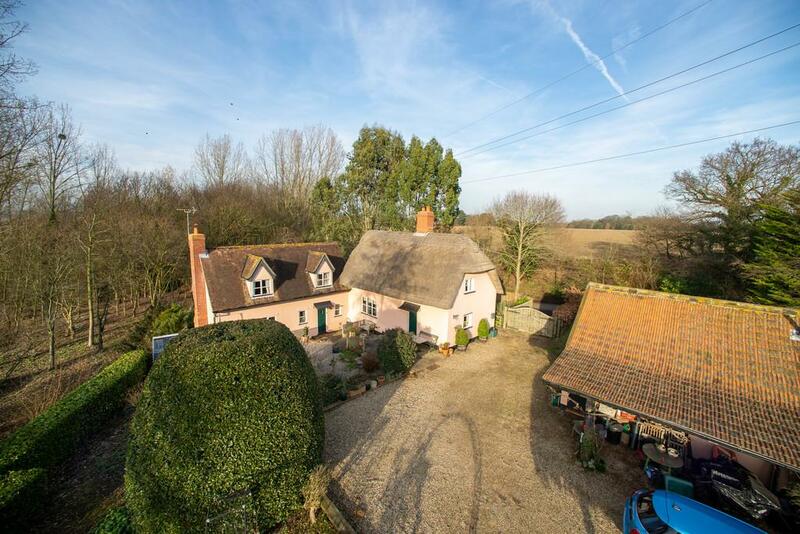 A charming four bed Grade II listed detached cottage with a garden of 0.24 acre, on the edge of a village. Attractive two/three bedroom cottage set in approx. 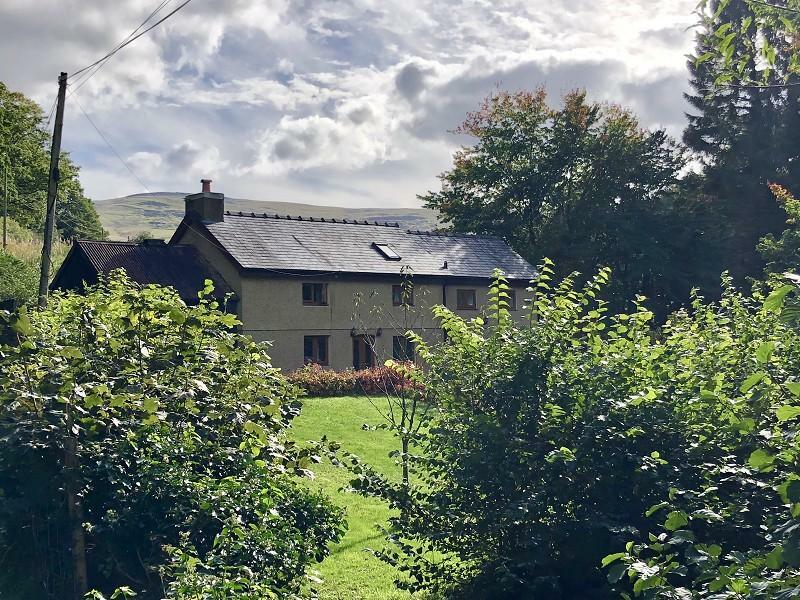 2.5 acres including licensed camp site set in the Brecon Beacons National Park. For sale with Clee Tompkinson Francis via OnTheMarket.com. See more pictures and details about this property. 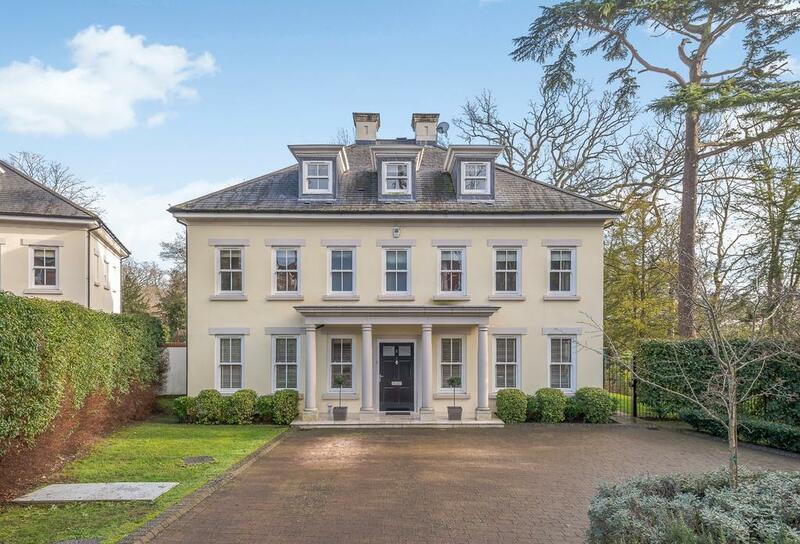 This exceptional detached Regency Villa was designed and built by renowned architect George Webster as his own family home in 1827. For sale with Scott Bainbridge via OnTheMarket.com. See more pictures and details about this property. Spacious three bed property with extensive gardens. Located on the edge of Maulds Meaburn in the Yorkshire Dales National Park. For sale with Eden Estate Agents via OnTheMarket.com. See more pictures and details about this property. 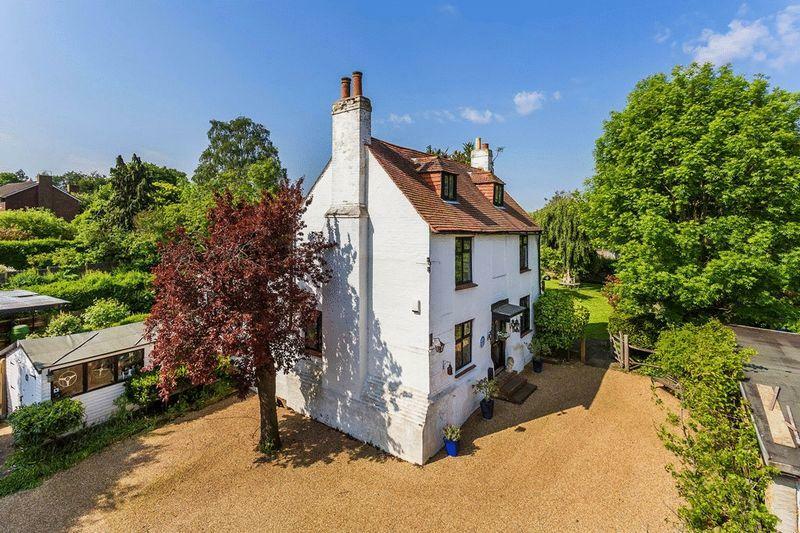 Spacious four/five bedroom period property with superb views. Light filled with stylish interiors and original period features. For sale with Eden Estates via OnTheMarket.com. See more pictures and details about this property. 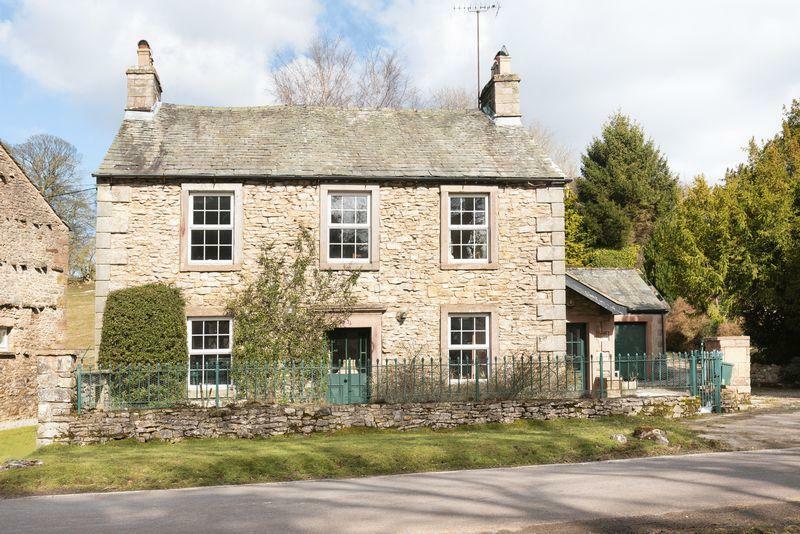 This charming cottage with a swimming pool, garage and gardens is in a small hamlet near both National parks and close to Kendal. For sale with Cobble Country via OnTheMarket.com. See more pictures and details about this property. 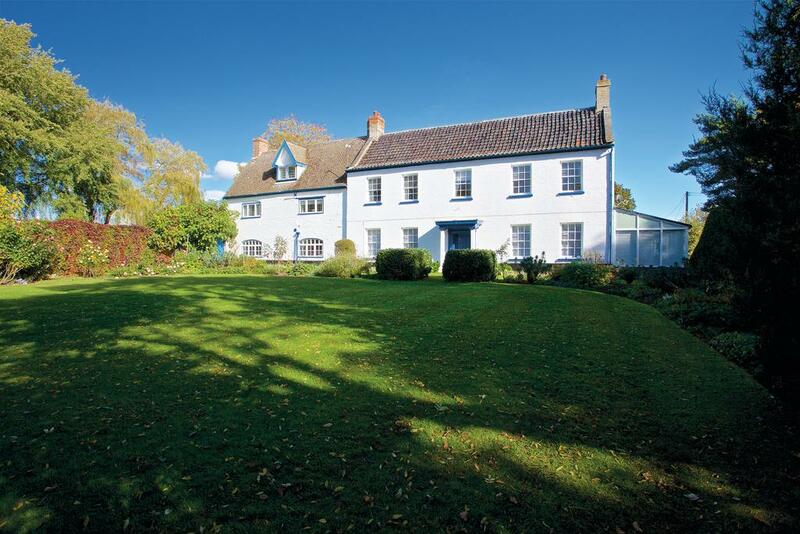 Handsome period home with three pretty cottages in mature grounds currently used as a successful holiday business. Good access links. 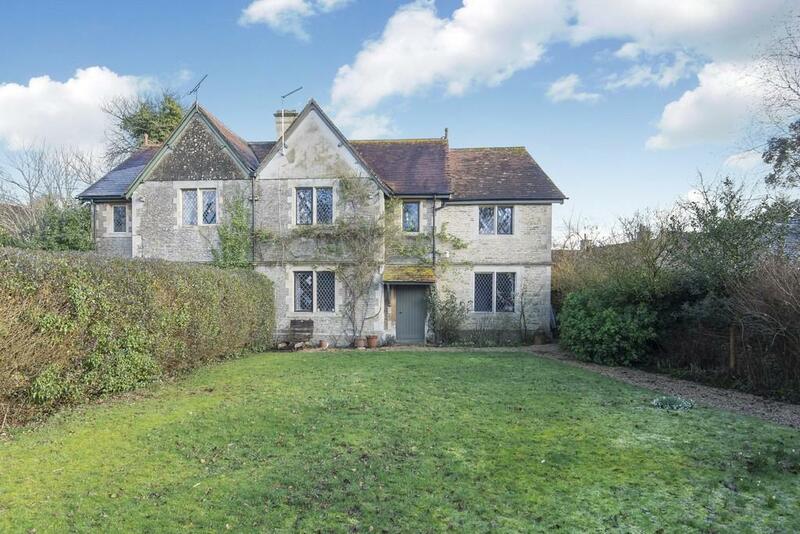 A delightful five bedroom detached house in need of modernisation. 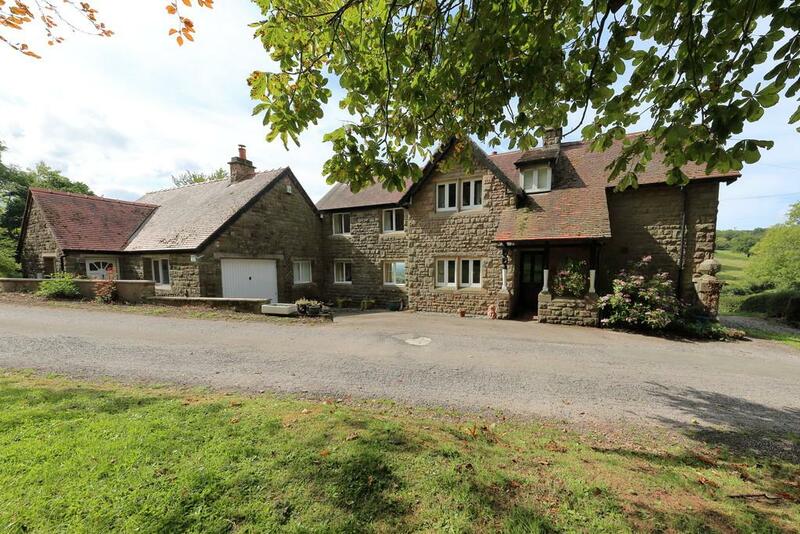 Situated in a rural location on a plot of over half an acre. For sale with Beresfords via OnTheMarket.com. See more pictures and details about this property. 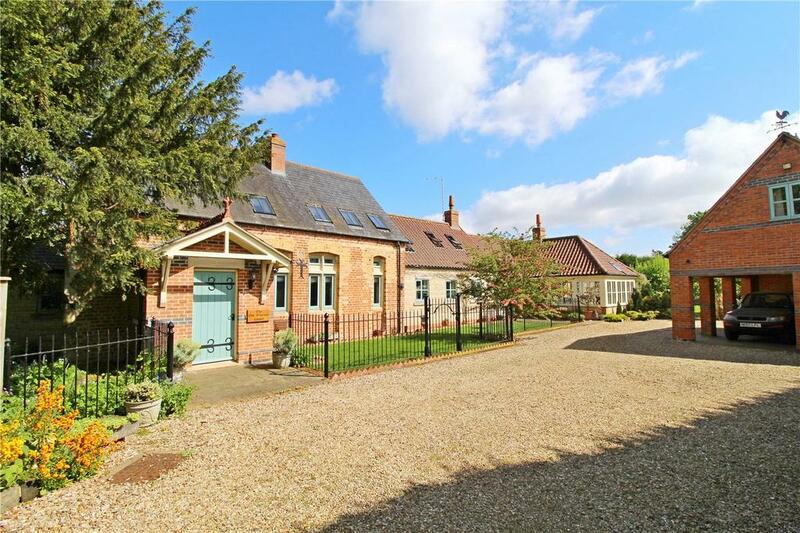 Immaculate period barn conversion with generous gardens, detached garaging and office. 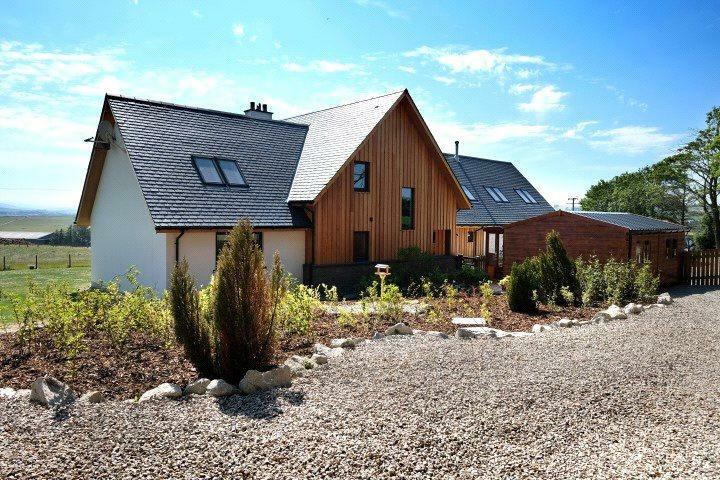 Located in a popular and accessible village. For sale with Grant & Co via OnTheMarket.com. See more pictures and details about this property. 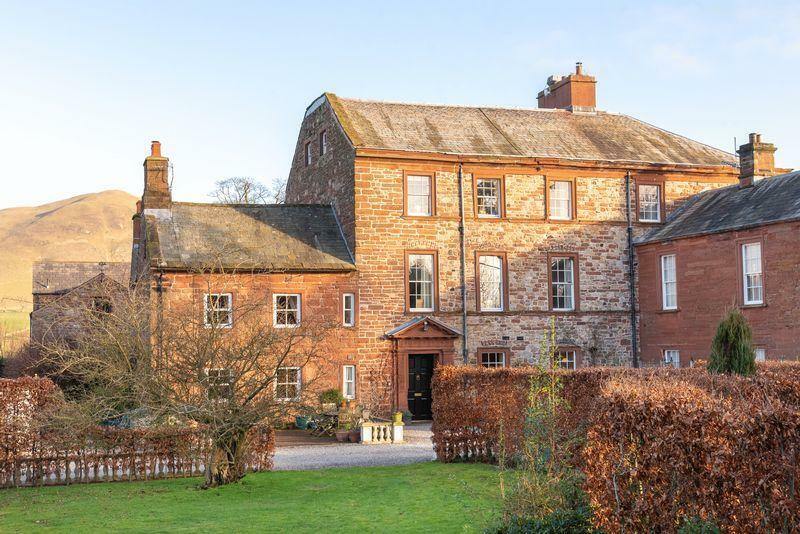 A substantial country property dating from the end of the 18th Century, nestled in the heart of a beautifully landscaped park with uninterrupted views. 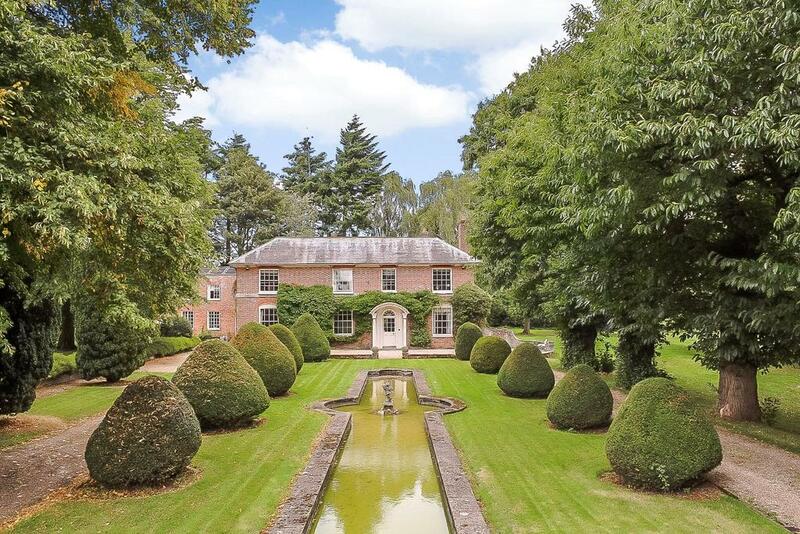 An elegant 8 bedroom listed house of Bath stone in a private park near Kingsclere, within easy access of London. 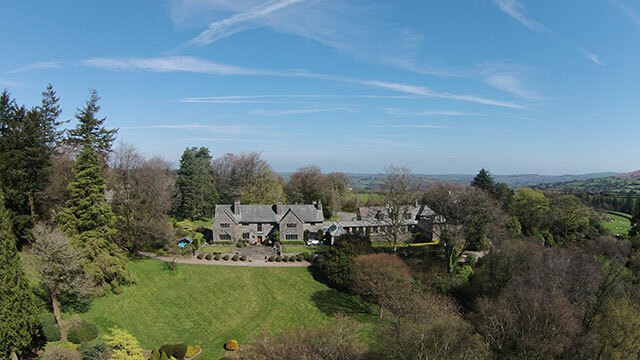 Swimming pool, tennis court, stables, gardens and staff accommodation. For rent via Carter Jonas. See more pictures and details about this property. 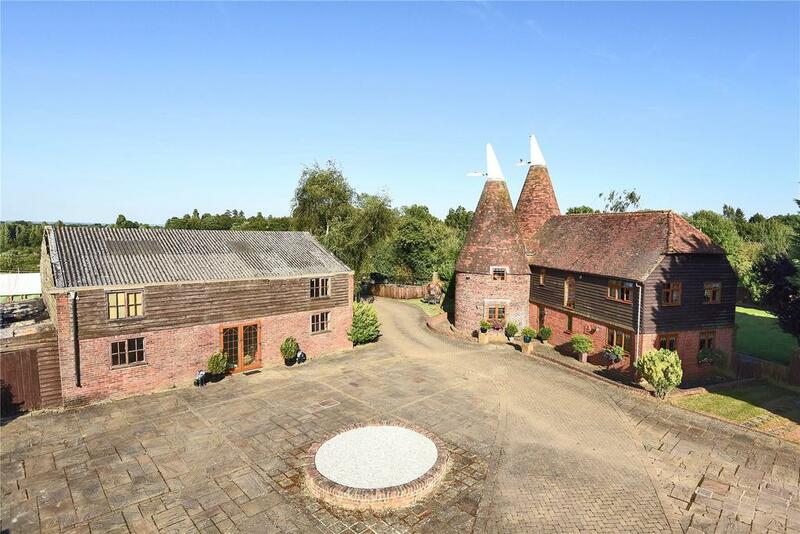 A well-presented oast and barn conversion, further barn with potential, 4.2 acres, excellent equestrian facilities. For sale with Batcheller Monkhouse via OnTheMarket.com. See more pictures and details about this property. Georgian style house with approximately 70.2 acres of ground. 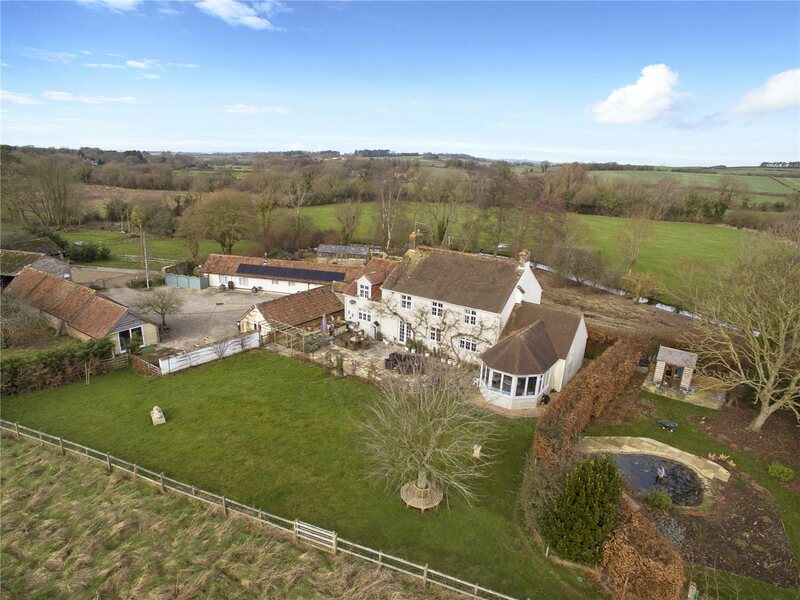 Available with approximately 5.9 acres, guide price of £1,495,000. 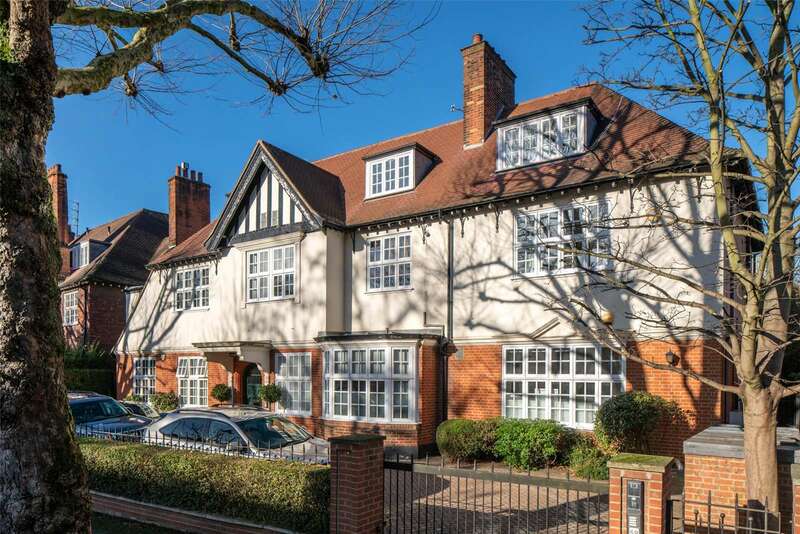 A very special detached seven bedroom family house with off-street parking and a lovely south-west facing garden backing onto Holland Park. 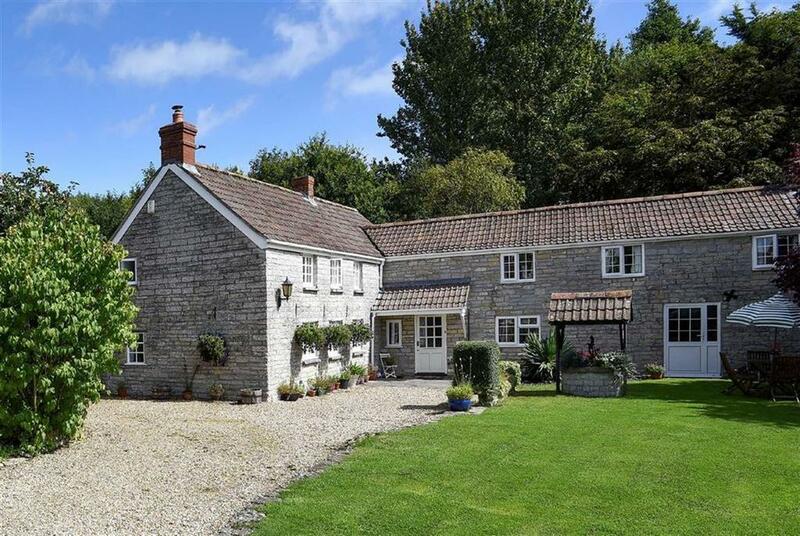 Capple Bank Farm is a stunning country house with a detached cottage, outbuildings, stabling, 12 acres and commanding views. 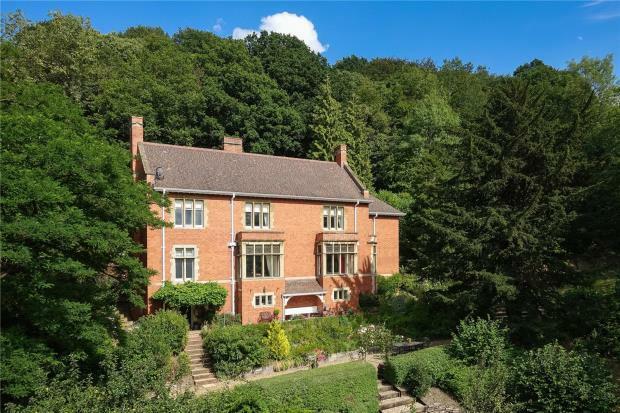 An impressive Grade II listed, former Vicarage in a World Heritage site offering exceptional views across the Valley. For sale with Balfours via OnTheMarket.com. See more pictures and details about this property. 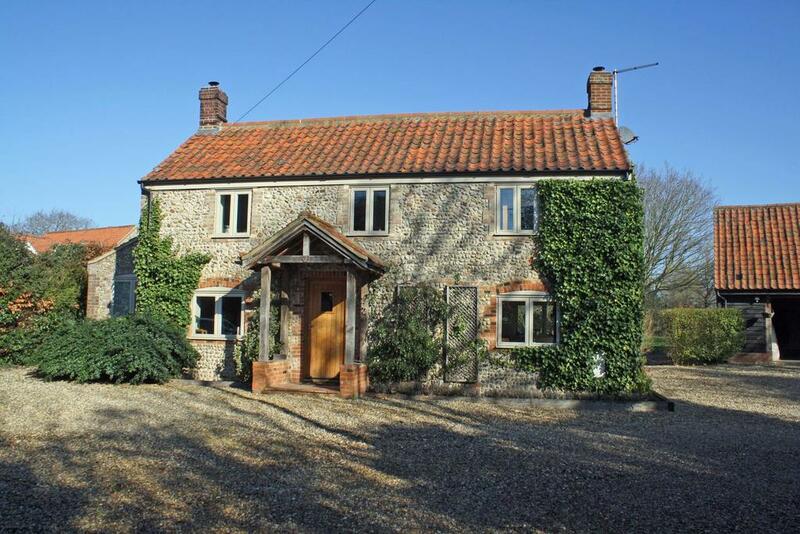 Charming four bed farmhouse with adjoining residential cottage and two holiday cottages. 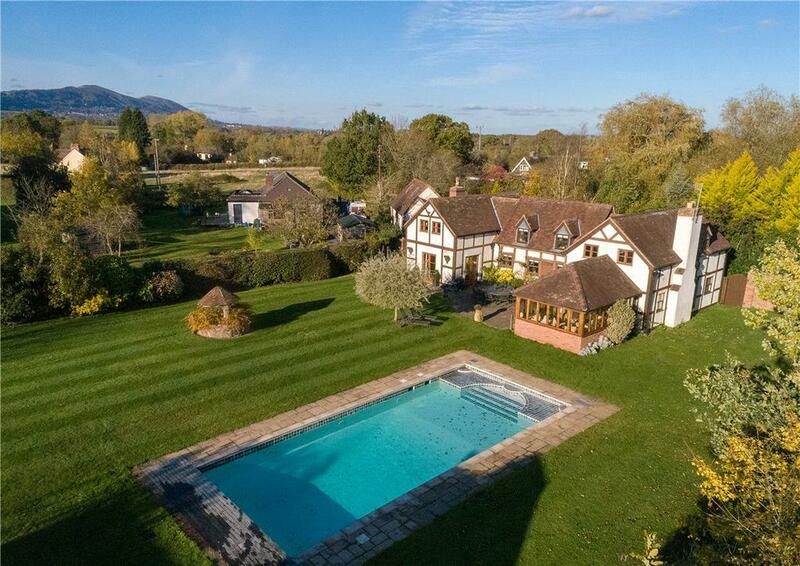 Handsome gardens with stables and paddock. 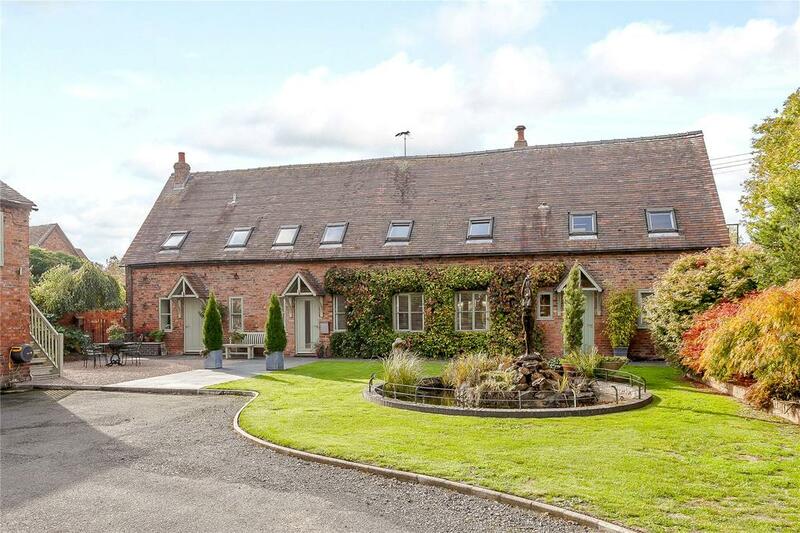 A substantial four bed unlisted timber frame barn of character. Mature plot approaching 4 acres. Cart lodge and 4 stables. 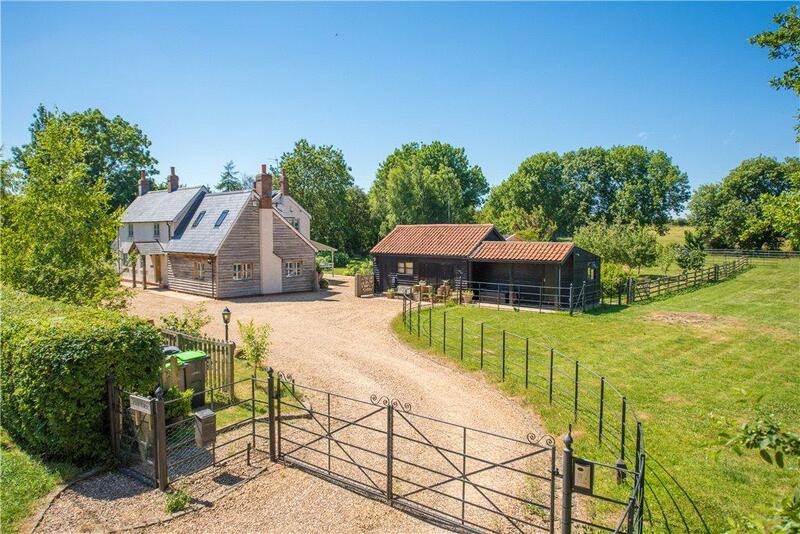 A compact rural estate including a handsome and historic Listed 5 bed farmhouse, outbuildings & separate cottage. Approx. 71 acres. Available for sale as a whole or in lots. For sale with HJ Burt. See more pictures and details about this property.